GREAT LOCATION! Between Washington Sq and Cleveland Circle. Wonderful garden level 2 bedroom with lots of windows. 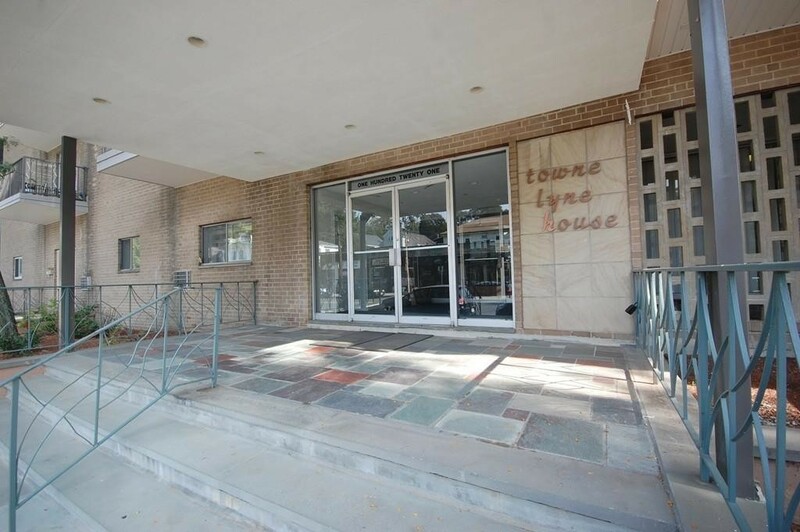 Located in a lovely, well maintained brick building. Completely painted, move in ready with 2 good size bedrooms, a nice kitchen, hardwoods throughout, and low condo fees, that include heat. 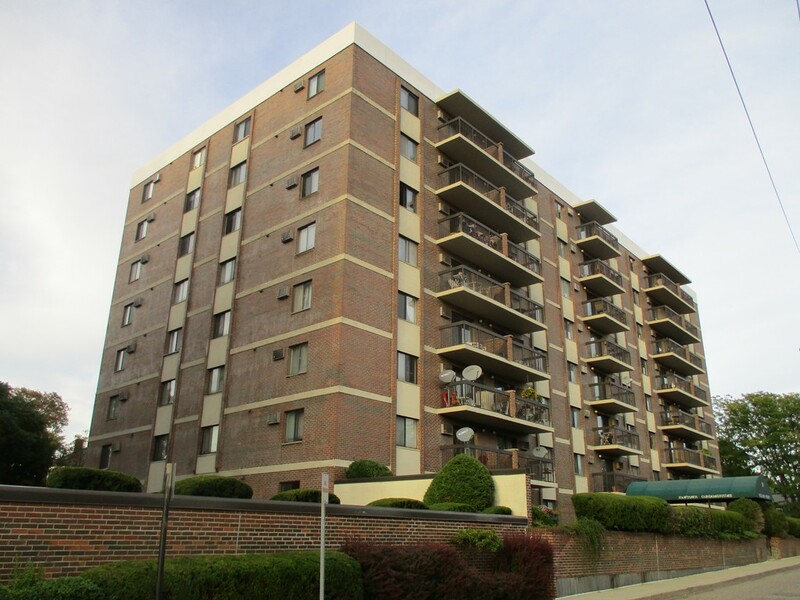 Easy to commute to downtown Boston and nearby hospitals on B/C/D Greenline. Includes a leased indoor parking spot that has been with this unit for 10+ years. Close to shops and restaurants. This is a must see! 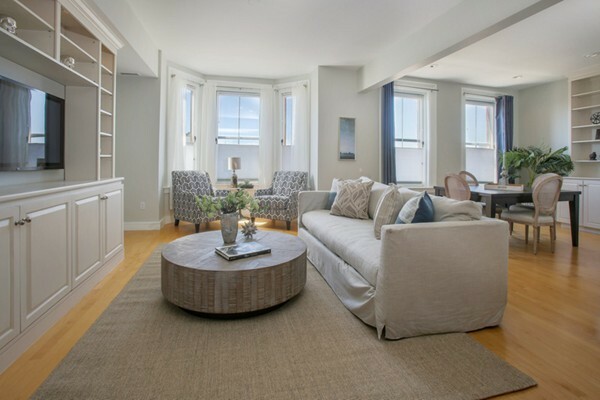 Updated spacious 1 bedroom located in the heart of Beacon Hill. Featuring an open concept, sunlit, front facing living room and renovated stainless steel kitchen. Beautiful inviting breakfast bar and hardwood floor throughout. New chic bathroom with Newport Polished tile by Ivy Hill. Laundry and private storage in building. Steps to Charles Street, MGH T-Stop, Boston Common and Public Garden. First Open House this Sunday May 31st from 11:30-1pm. 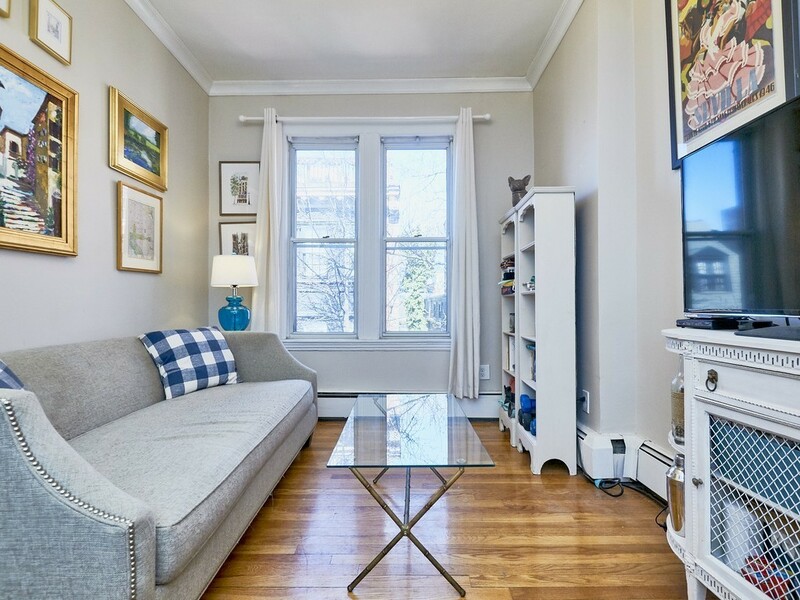 Fantastic, sun filled two bed two full bath condo located in desirable Newtonville neighborhood. This beautiful second floor unit boasts a wonderful kitchen with granite counter tops and stainless steel appliances, spacious living room with working fireplace, a large formal dining room, and two family size bedrooms including a master bedroom with master bath. Other amenities include ample closet space throughout, central AC, second floor laundry hookups and a private porch for grilling or just enjoying the spring air. There is a huge deeded storage room in basement, 3 car parking including a deeded garage parking spot, shared yard space, new roof and all new exterior paint. Walking distance to Commuter train, Buses, Cabot Park, walking trails, restaurants, shops and schools. This is a must see! Open House Thursday 10:30-11:30, Saturday 11-12:30 Sunday 1- 2:30. Rarely available Hampton Place 2 bedroom flooded with plenty of natural light. The spacious living room and dining area are great for entertaining. Many luxury amenities including a heated indoor pool, beautiful outdoor pool and lounge area. The private clubhouse has a function room, card room, library, game/TV room and exercise room. 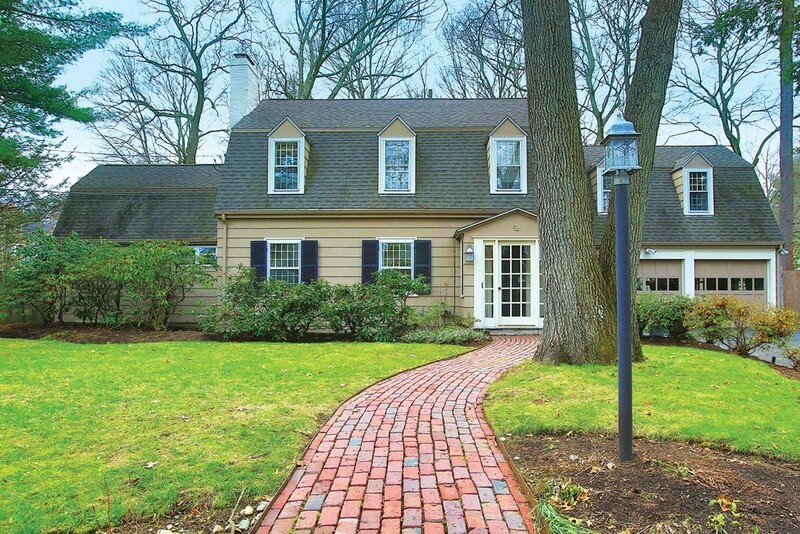 Excellent location close to wonderful restaurants, shopping, and Chestnut Hill Square. Wow! Beautiful 3 bedroom 2.5 bath young town home located in sought after JP neighborhood. This sun drenched home boasts a first floor with open floor plan. Eat in kitchen with granite counters and stainless steel appliances, spacious dining area that flows into a fireplaced living room with access to a fantastic wrap around mahogany deck. Second floor has three family sized bedrooms including a master bedroom with city views, master bath, ample closet space and 2nd floor laundry. Other amenities include newer Lennox HVAC, new roof, storage in basement and 2 car parking. 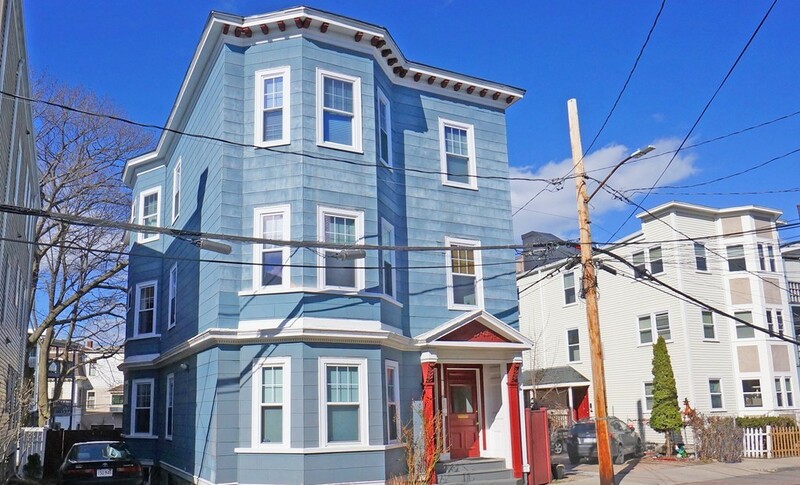 Walking distance to JP Center, shops, restaurants, Jamaica Pond and Transportation. This is a must see! Open Houses, Thursday 12:30-1:30pm, Saturday & Sunday 11-12:30. Brighton,Oak Square, Opportunity Knocks!! 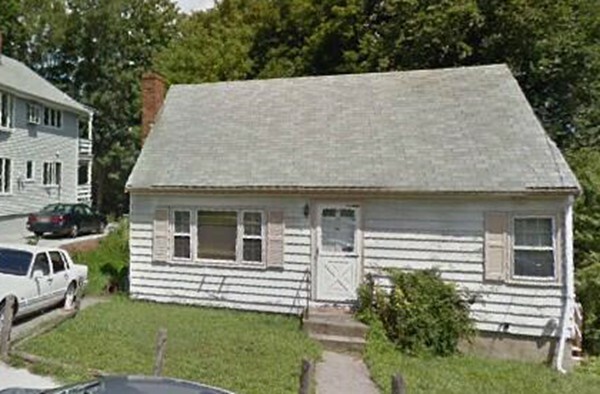 Attention builders, a ranch/cape with potential to expand living space in attic. This is ideal for developer or end user to gut and add more living space. Bring your creative ideas with your contractor to preview. Being sold in as in condition. Don't wait. 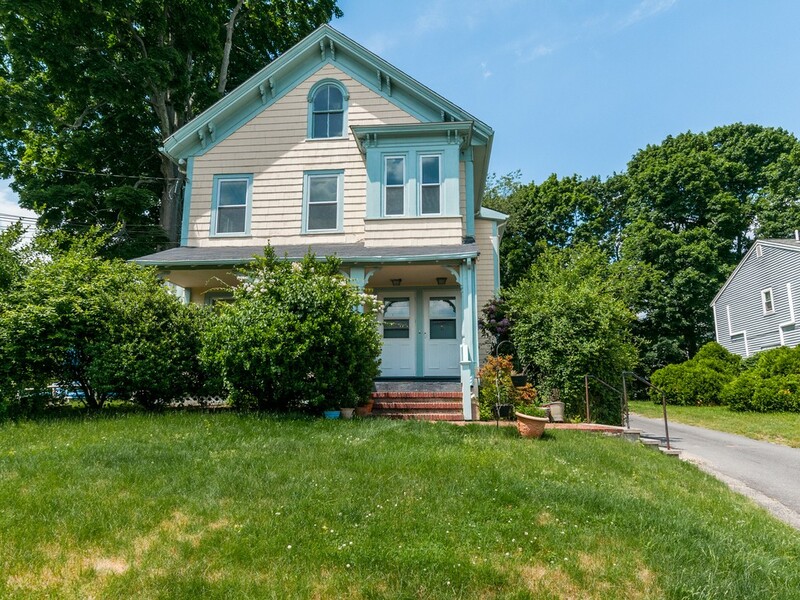 Outstanding opportunity to rejuvenate this colonial with skilled and creative craftsmanship to bring it back or enhance its original beauty. 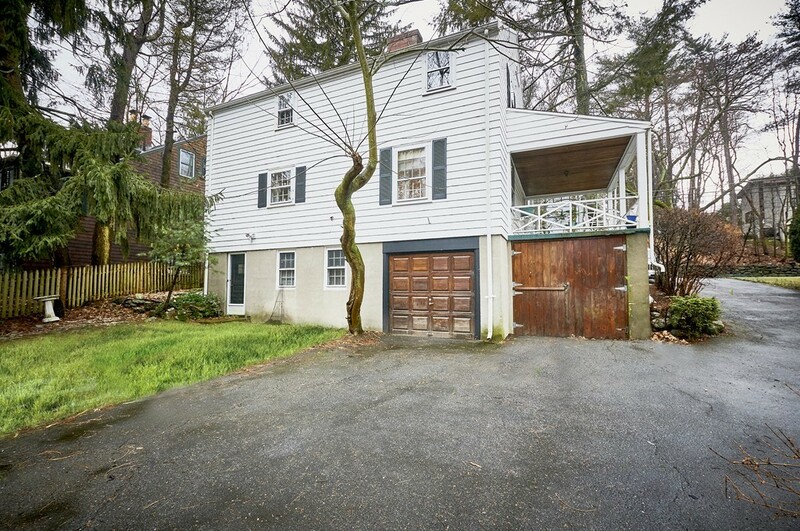 This remarkable colonial offers 6 rooms with high ceilings and 2 under car garages. 1st floor offers living room with fireplace and attached porch, dining room, kitchen and bathroom. 2nd floor has 3 specious bedrooms, 1 full bathroom, small sitting area with ceiling fan. Walk out basement has finished study/office room with fireplace and entry to heated garage. Conveniently located in the Newton Center with easy access to Rt-9 and Rt-95. 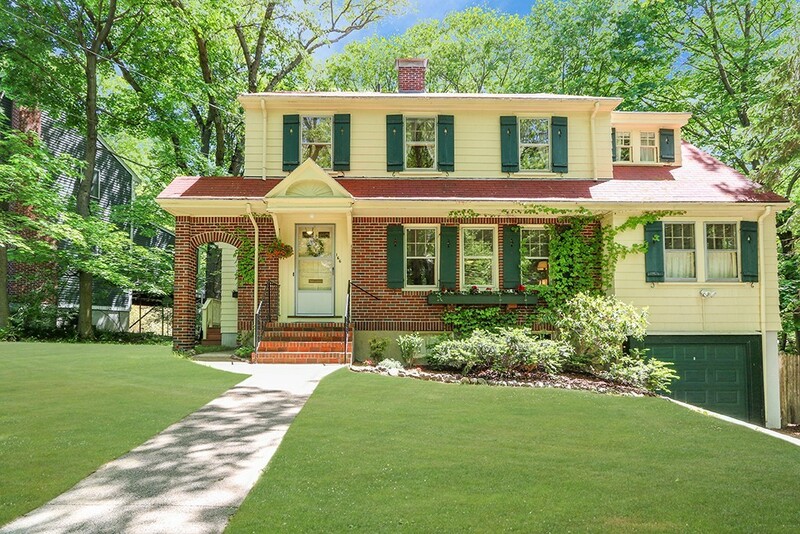 Minutes from amazing Newton Center shopping, Restaurants and T-Stop. This is an opportunity you won't want to miss! 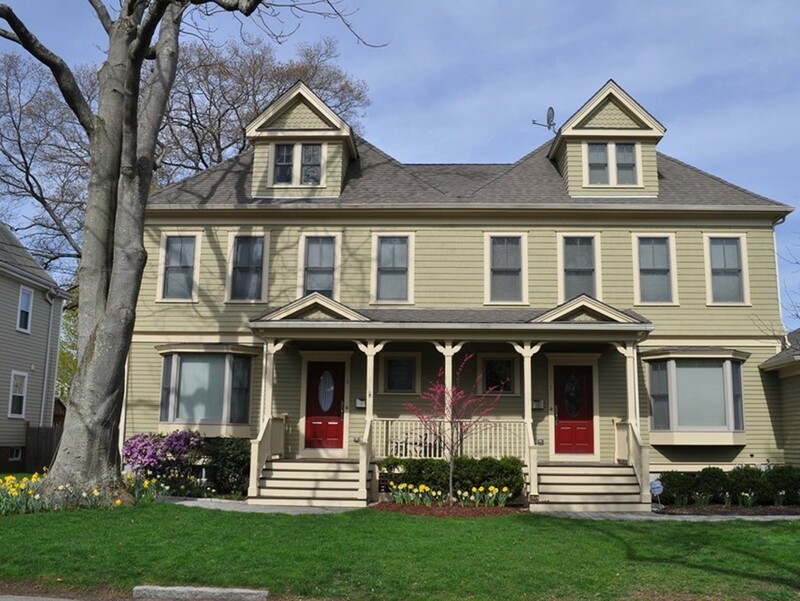 Do not miss this New designed and construction single family colonial home in 2015. High end granite island kitchen w/stainless appliances. Bright and large family room & dining room with gas fireplace, sliding doors to deck and back yard. Huge master bedroom with private bath , walk-in-shower and walk-in-closet, two additional bedrooms and one full bath in second floor. Great finished third floor for extra family room or office space and lower level for walk-out patio also with full bath. Stunning Penthouse Condo with a Luxurious Master Suite and Private Roof Deck! 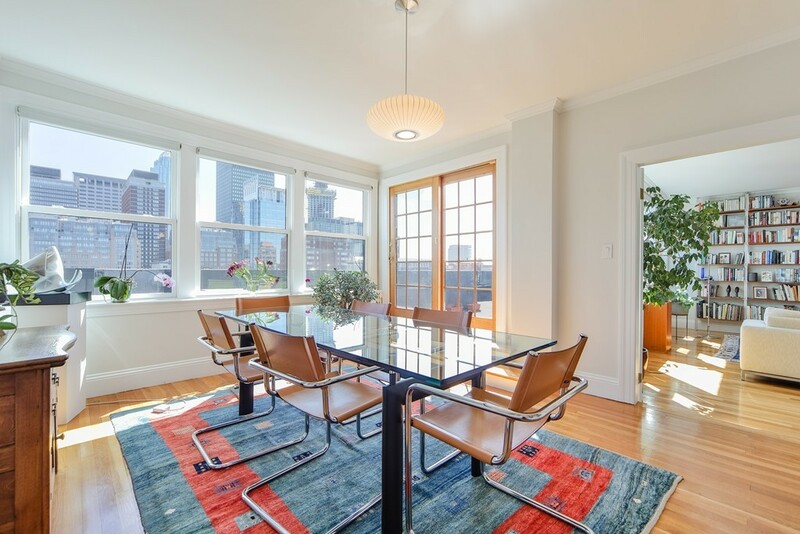 Nestled in heart of Gilman Square, lies a contemporary sun-filled 2 bedroom, 2 bath condo with two levels of spacious living that is perfect for entertaining! Newly constructed in 2015, this home boasts a stunning open-concept kitchen and living area with soaring cathedral ceilings, recessed lighting and gleaming hardwood floors. The modern chef's kitchen features quartz countertops, gas cooking, custom soft-close cabinetry, GE Profile appliances, a quartz peninsula and farmers sink. The stunning master suite is complete with an updated stylish master bathroom and two custom walk-in closets. Up the grand staircase, you will find a loft space that makes for a great office or den and a private roof deck perfect for relaxing! That's not all! 2 covered parking spots, Nest controlled Cooling and Heat! Close to the new Green Line T stop, the New Somerville High School, and Sarma. 15 minutes to Union Square! Stunning, 6 room, 2 bedroom, 1 bath condominium in super convenient location. This amazing first floor unit consists of a spacious living room, beautiful sunroom, formal dining room with built in china hutch, fantastic kitchen with white shaker cabinets, stainless steel appliances and leathered granite counter tops, pantry with stackable laundry machines, modern bath with walk in shower and two family size bedrooms. Other amenities include gleaming hardwood floors throughout, central AC, Nest thermostat, Nest Protect smoke alarms, replacement windows, storage in basement, deck, yard and separate deeded driveway. Walking distance to commuter train, express bus, W. Newton Square and Auburndale Center. This is the best two bed condo on the market! A must see! Meticulously maintained 3 bedroom 2 full bath single family home situated on a quiet street in a desirable neighborhood. First floor boasts a large eat in kitchen with center island, Corian counter tops and stainless steel appliances. Sun filled living room, formal dining room, family room, full bath with stand up shower, and a fantastic sun room over looking a large back yard. Second floor has three freshly painted family size bedrooms and a full bath. Some updates include, brand new roof, newer heating system, central A/C, updated electrical panel, all new porches with Trex decking, refurbished garage with new roof and windows. This is an amazing home and a must see! First showing at open house Sunday 1-3pm. This home, on a quiet street, is a six room, 3 bedroom Bungalow with the charm of yesteryear. The kitchen features newer cabinets and granite counter tops. Dining room has a built-in china cabinet. Updated boiler, electrical service and replacement windows throughout the house. Open front porch, facing south where you can enjoy your morning coffee. There is a private back yard with a patio, two car garage and great garden space to plant your flowers for spring blooming. 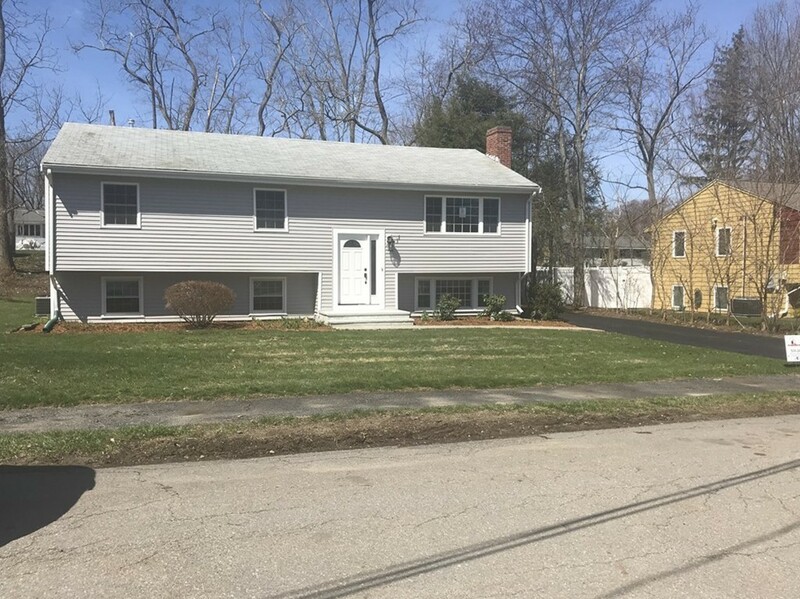 This home is a commuter's dream with access to Express buses, Commuter rails to North and South Stations, Route 128/95 and the Mass Pike. Enjoy all that Waltham has to offer with restaurants, movie theatre and shopping. The Charles River offers a walking, running, biking path as well as boating. Please join us at the open house on Saturday and Sunday, September 8th and 9th from 12-2. Open House 9/2 Canceled! 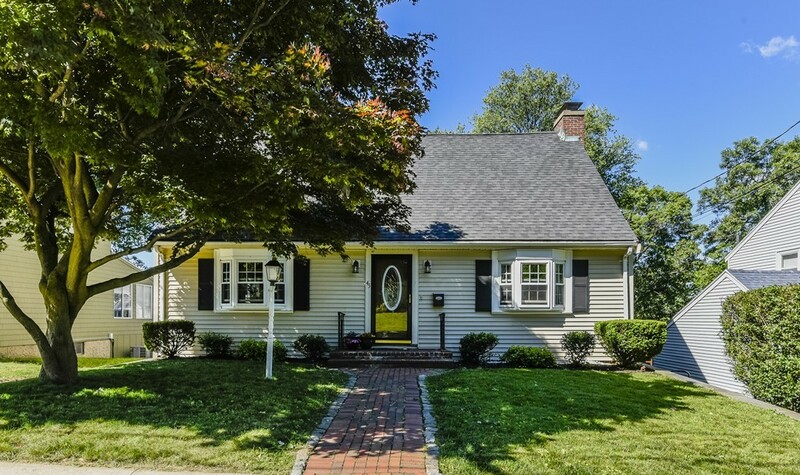 House This classic, updated colonial with an open floor plan and quality finishes has something for everyone! The first floor features a large chef's kitchen with gas cooking, granite counter tops, stainless appliances, range hood, large breakfast bar and dining area with custom storage. The expansive family room features cathedral ceilings, custom cabinetry, a fireplace and french doors leading out to a patio for al fresco dining. A living room with fireplace, dining room, half bath and office with a separate entrance and storage complete the first floor. The second floor offers 3 generously proportioned bedrooms plus a bonus room for guests or office and full bath. The elegant master suite features a dressing area and renovated spa-like bathroom with double sinks, separate shower and soaking tub. The finished basement offers a fireplace and great space to play music or games. Fabulous location near train, village, shopping and major routes. 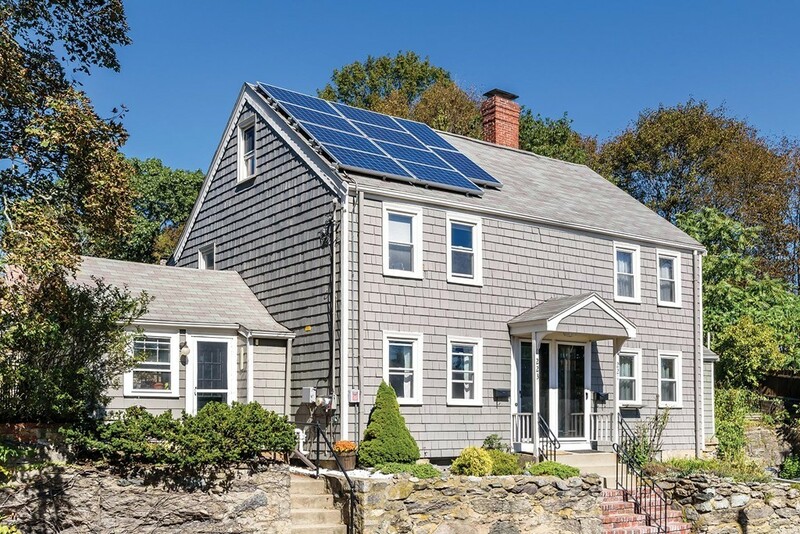 Fantastic sun filled three level town home in desirable Newton Upper Falls neighborhood that looks and feels like a single family home inside and out. First level has a beautiful open floor plan with a fireplaced living room, dining room, full bath, a large eat in kitchen with granite countertops and french doors leading to a private brick patio. Second floor has three family sized bedrooms, a modern bathroom and stackable laundry machines. Finished lower level is perfect for a kids play room, media room or home gym. Central A/C, two deeded parking spots in driveway. A short walk to green line train, located across the street from picturesque Eco Bridge, Hemlock Gorge and walking trails. This is a must see! First showing at open house Saturday 11-12:30 and Sunday 12-1:30pm. 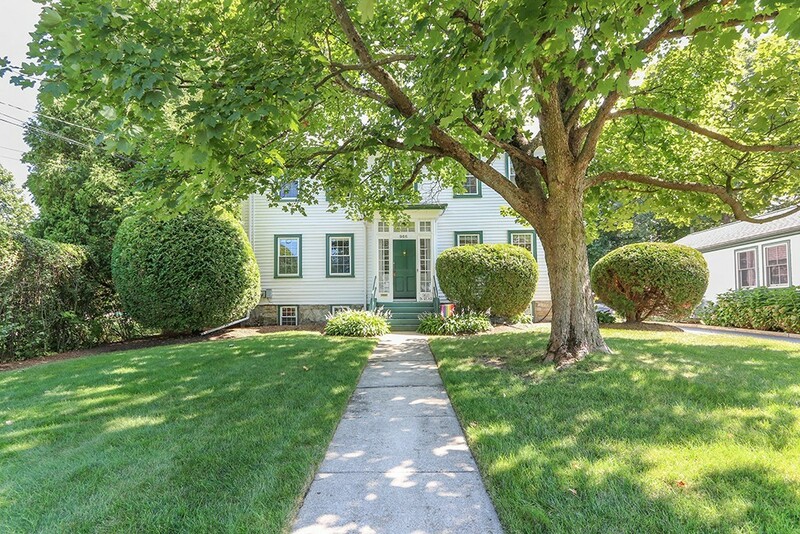 This classic center entrance colonial is sited on a 13,076 square foot lot surrounded by mature trees and lush plantings. The home has a very flexible floor plan that includes an addition that offers the potential for an in law suite. On the first floor of the home there is a formal living room with access to one of the two decks, half bath, dining room and a expansive kitchen, breakfast area and family room with sliders to the yard and the second deck. This inviting room is complimented by walls of windows overlooking the yard. The second floor is comprised of a master suite with full bath, six additional bedrooms, two full baths and a family room/bonus room. In addition, there is a finished basement which includes a media/exercise room. There is a two car direct entrance garage. This fantastic home is conveniently located near the Countryside School, the shops and restaurants of Newton Highlands and Newton Centre, and easy access to major highways. 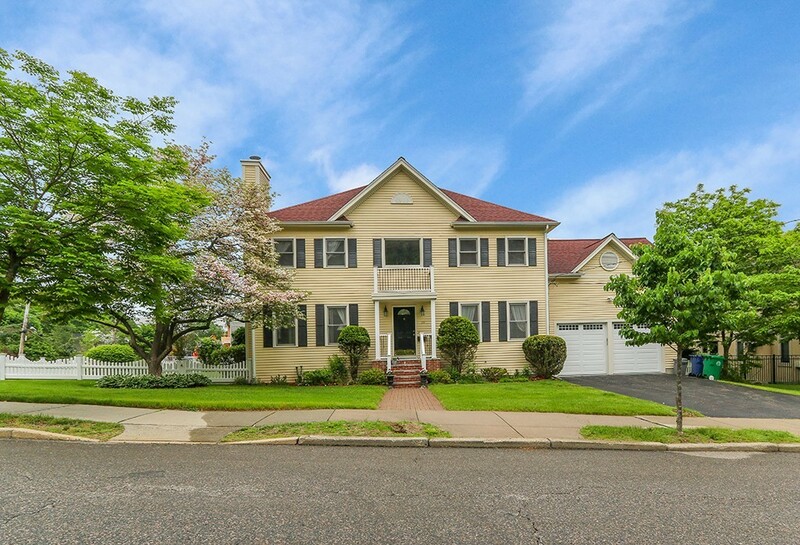 Meticulously maintained 9 room, 4 bedroom, 2.5 bath Colonial with central A/C located in highly desirable neighborhood. First floor consists of a beautiful living room with wood burning fireplace, amazing sunroom / all season porch, spacious formal dining room, sun filled eat in kitchen that leads to an office / 4th bedroom and half bath. The second floor has 3 family size bedrooms with good closet space and a full bath. Beautiful finished lower level is perfect for media room, home gym or kids play area and has a modern full bath. Large fenced in backyard, private custom built patio. One car garage under plus driveway parking. Newer roof, heating system, windows, and electrical. Choice of Peirce/ Williams elementary school. Commuters dream with access to Rte 90, 95, Green Line, Express bus and train to Boston. This is a MUST SEE! Ideally located Upper floor 2 bedroom/2 bath condominium with gated 2 car tandem parking spot in professionally managed elevator building. This open and spacious floor plan boasts high ceilings, distinct living and dining areas, both with custom built ins. Updated kitchen features gas cooking, Bosch laundry, and Fisher Paykel fridge. The master suite has a large walk in closet and an elegant and generous en suite bath, complete with walk-in shower and double vanity. . Hardwood floors, central a/c and in unit laundry. 2nd full bath with ample linen storage, newly replaced HVAC system, custom fixtures, and a dedicated storage room round out this home's impressive amenity package. 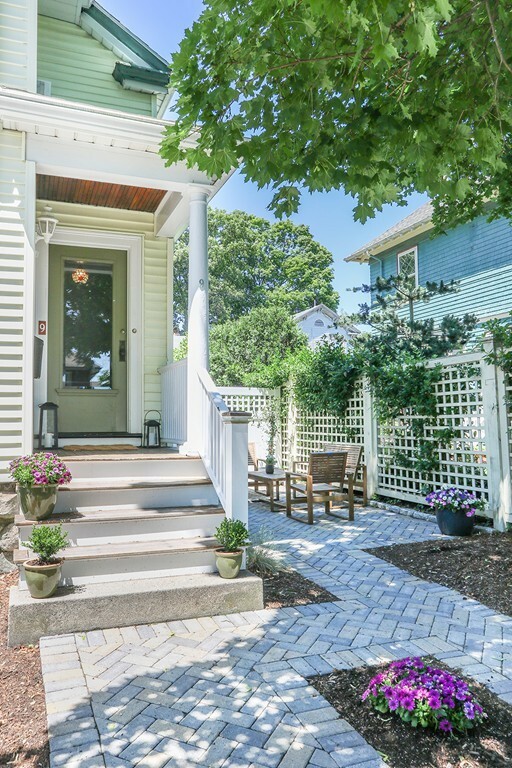 One of Boston's most idyllic locations nestled on a quiet street on the border of Back Bay/South End and Bay Village with close proximity to everything city living has to offer. This is a phenomenal opportunity for the discerning buyer. New Price!! 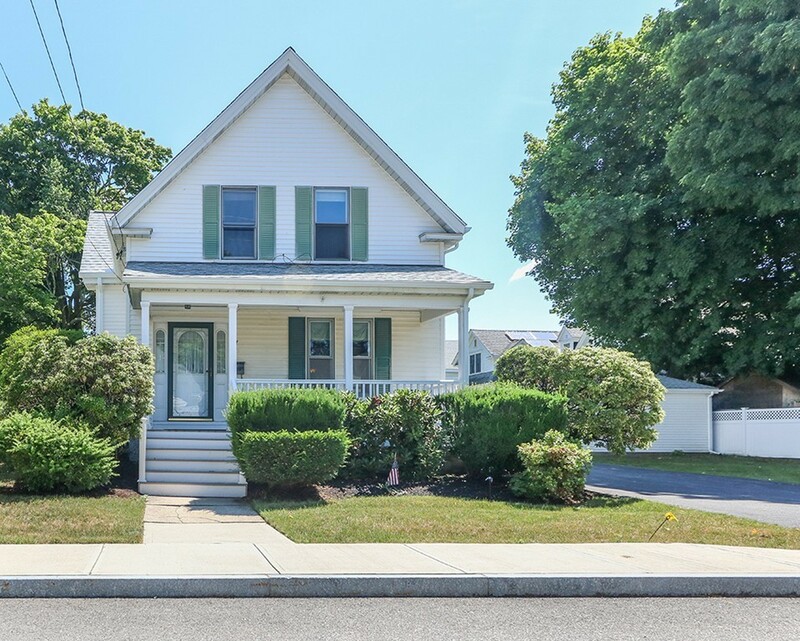 Location, location is evident in this updated 8 Room, 3 Bedroom Colonial with central A/C in this highly desirable neighborhood. First floor consists of front to back living room with fireplace, leading to the family room/ office, formal dining, eat in kitchen and half bath. Second floor has three generous bedrooms and an updated bathroom. The lower level is perfect for playroom with a second fireplace. Choice of Peirce or Williams elementary school. 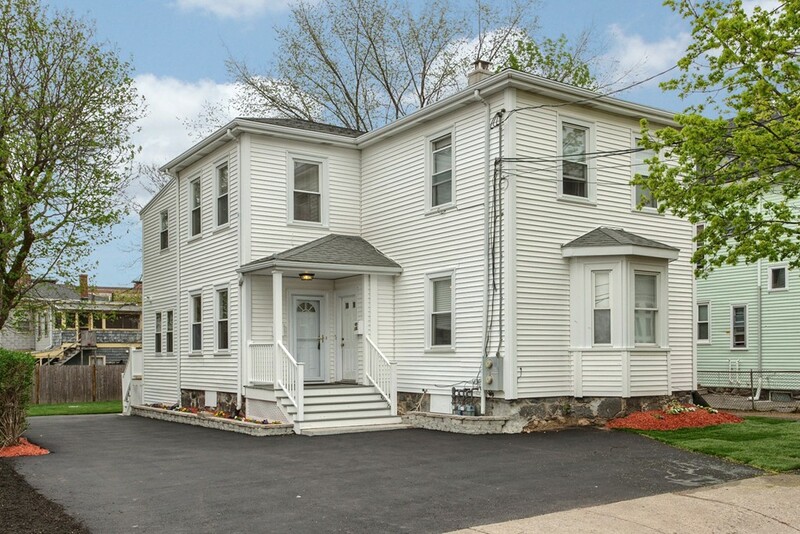 Easy access to Routes 90,95 and 16 plus Commuter train, Also have the Express bus to Boston and Green line. Gorgeous luxury 3 bedroom 2 bath townhome with hard to find attached 2-car garage! Like new granite kitchen with custom island, stainless steel appliances, tiled backsplash, recessed lighting and gas cooking! Large living room, dining room exterior access to private balcony, full bath and hardwood floors throughout rounds out the 1st floor. 2nd floor has two large bedrooms with hardwood floors including a master bed with 2 walk-in closets, a high quality ceramic full bath and in-unit laundry. Third floor bedroom loft with custom California closet system and high-end skylight! Additional storage located in the garage storage room and bike storage underneath the front stairs. 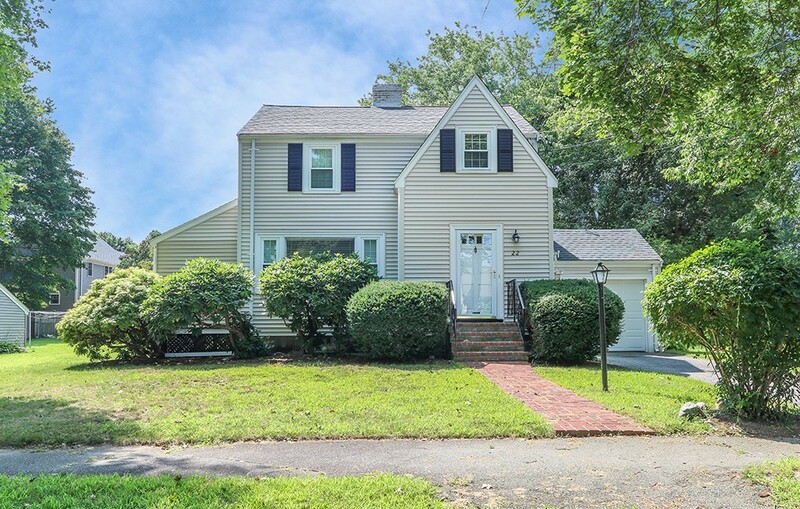 Additional features include central air, central vacuum, 2016 roof, 2014 HW tank with 10 year warranty, 0.4 miles to commuter rail, bus stop and Moody Street area. Short walk to 24 hour CVS, loads of restaurants and grocery store. Easy commute into Boston. Open houses Saturday and Sunday 11:30-1:30. 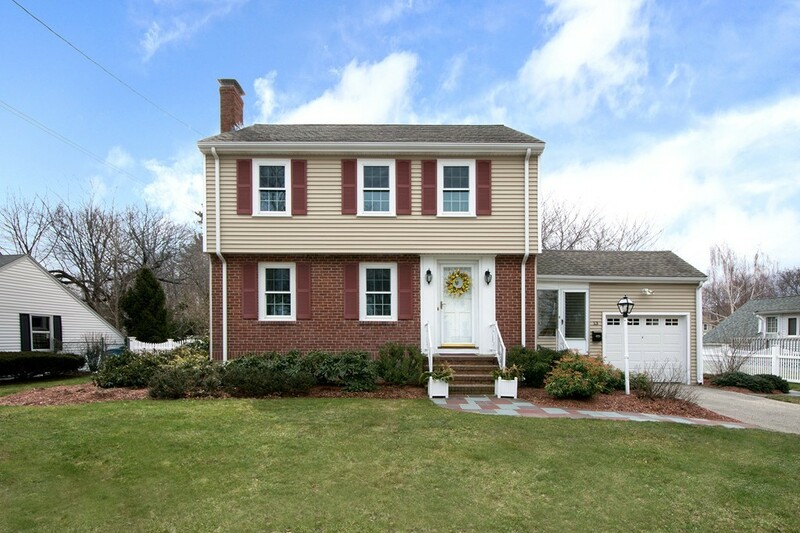 Meticulously maintained 3 bedroom 1.5 bath Colonial located in desirable neighborhood. This home has so much to offer starting with beautiful curb appeal, a lush green lawn and well cared for plantings. The first floor boasts a sun filled fire placed living room, a large sunroom with office, a nice kitchen with corian counter tops that flows into the dining room with sliders to an amazing screened in porch over looking a large deck and fenced in back yard. Second floor has two larger bedrooms and one smaller kids room. There is a full bath and a huge walk in closet on 2nd floor as well. Lots of storage in the attic and basement. Other amenities include split duct A/C, new roof, in ground sprinkler system, newer gas fired heating system and windows. This is a one of a kind and a must see! Tucked away on a quiet side street, this spacious cottage/bungalow has a wonderful "welcome home" feeling, and reliable updated systems throughout. Popular Riverdale neighborhood and school, easy access to public transit lines and highways for commuting ease. Open kitchen has propane cooking and newer appliances. Enclosed front porch, inviting family room with fireplace, rear three season bonus room and roomy back deck. Master bedroom on 2nd floor is a great private space with room to add bath/half bath if desired. The well-landscaped yard has generous play space on the side and in back, and is fenced on three sides. Newly installed sprinkler system draws from well water, and detached garage has additional work space and storage. 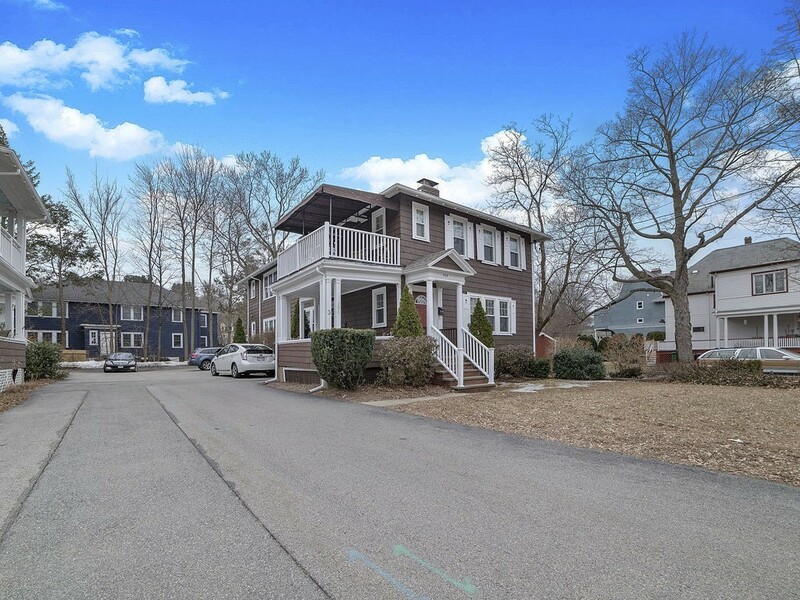 Enjoy this outstanding location, walk to Charles River hiking, boating and wildlife, still just one mile to Dedham Square shops and restaurants, and nearby Legacy Place! First showings at OH on Sat July 7 noon to 2 PM and Sun July 8, 1 to 3 PM. Spacious and light, front to back, 3 bedroom Condo in a 2 family home,with 4 parking spaces, one in garage..In addition there is an office,a bonus/playroom and large mudroom. The 3rd floor attic space is partially finished and has many possibilities.The large gracious dining room opens to the living room. Hardwood floors thought out,,replacement windows and many recent improvements including garage roof 2018, entire house roof 2014, hot water tank 2014 and dishwasher 2016. This lovely unit has been freshly painted inside and exterior painted in 2017. The washer/dryer is in the unit, lots of closet space and storage.There is common yard. Conveniently located near parks, walking trails and public transportation. Bus 59, at the corner goes to the Highland T stop.. Opportunity knocks! 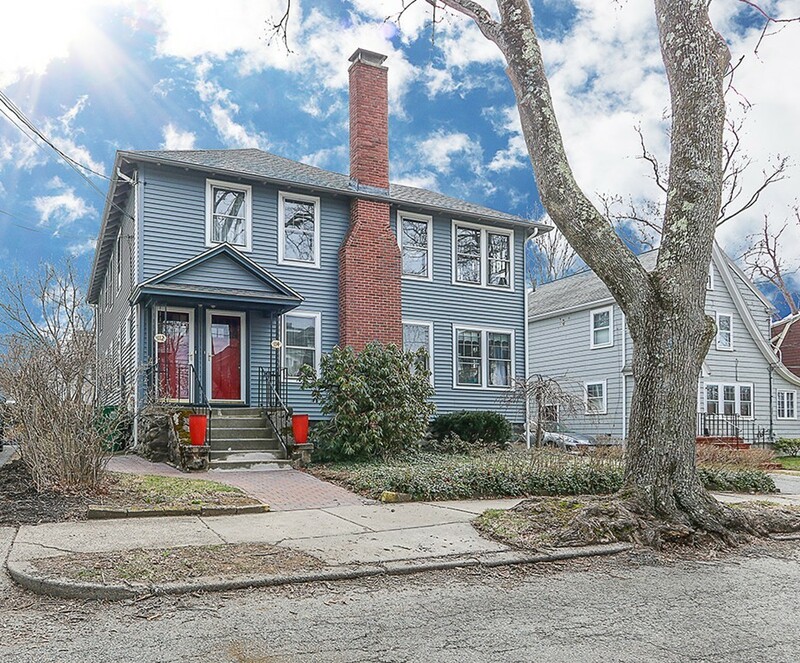 Fantastic 10 room 4 bedroom 3.5 baths Colonial located in desirable Newton Highlands neighborhood abutting Cold Springs Park. 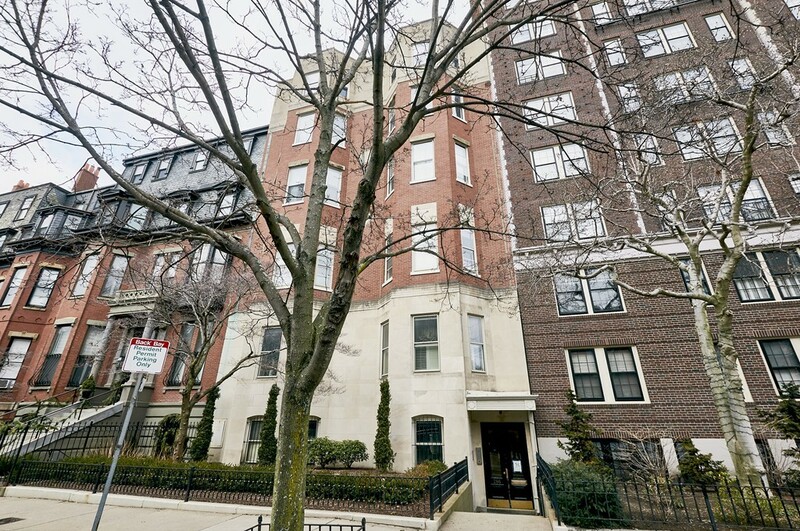 Close walk to restaurants, shops and green line train. Easy access to Rte 9 and 95. This fantastic home has been in the same family for many years and is awaiting your personal touches to make it special. NEW PRICE!! Beautiful, 6 bedroom 4.5 bath Colonial home situated on a corner lot in a quiet neighborhood just steps away from peaceful walking trails. Enter into a grand foyer flanked by a fireplaced living room and a spacious formal dining room. First floor boasts a modern kitchen with stainless steel appliances, breakfast bar with granite counters that flows into a family room with sliders to a large deck and a private fenced in yard. 1st floor also has a bedroom/office and half bath. 2nd floor has another family room, 4 family sized bedrooms including a master suite with walk in closet and nice master bathroom. Lower level has 3 more rooms and two full baths perfect for au-pair or guest suite. Many updates including new roof, heat / A/C, and newer kitchen & baths. This is a must see! Newtonville. 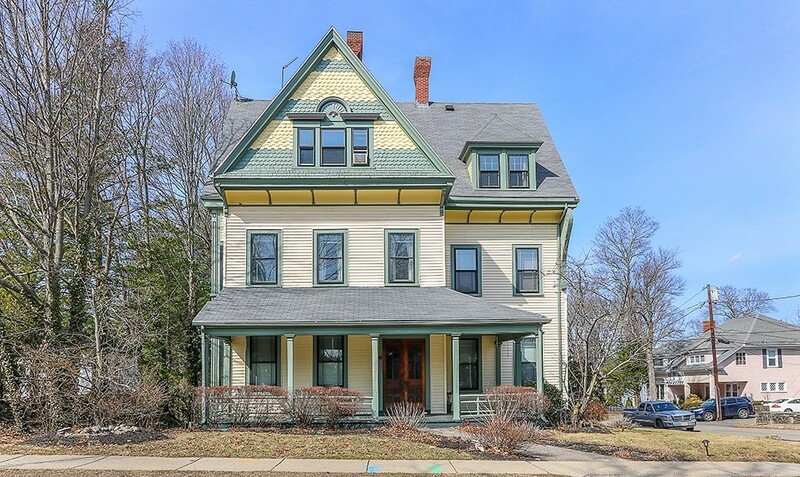 Wonderful Victorian in the heart of the Village offers three floors of living with spacious rooms, hardwood flooring, high ceilings, front and back stairs, elegance and period details. A welcoming front porch opens to a large entry foyer with built-in seat and leads to the living room, formal dining room with a fireplace and access to the wraparound porch. An eat-in-kitchen, family room, and a full bath complete this level. The second floor boasts a master bedroom with a fireplace, three additional bedrooms and a full bathroom. The third floor offers three more spacious bedrooms. There is ample driveway parking, and a lovely back yard. 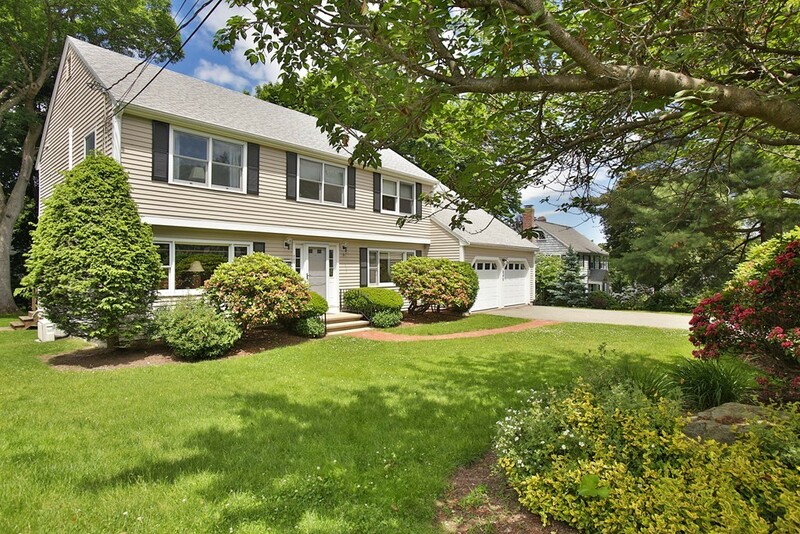 Near schools, shopping, restaurants the Commuter Rail and all the amenities of Newtonville. Easy access to the the Mass Pike and Cambridge. Set on a knoll and facing East, this handsome brick Tudor with slate roof, features beamed ceilings and fireplace in living room. A lovely stairwell greets you as you enter the house. The kitchen (updated in 2003) features granite counters, cherry cabinets, subzero refrigerator, a Jenn-air stove and gas oven, Off the kitchen and family room, there is a 20'x10' green house with water, heat and electricity. Second floor has four bedrooms, office and two bathrooms. On the third floor, there is additional bedroom and bathroom. In addition to a newer efficient gas fired heating system with four zones, there is a also a self-starting gas fired generator. 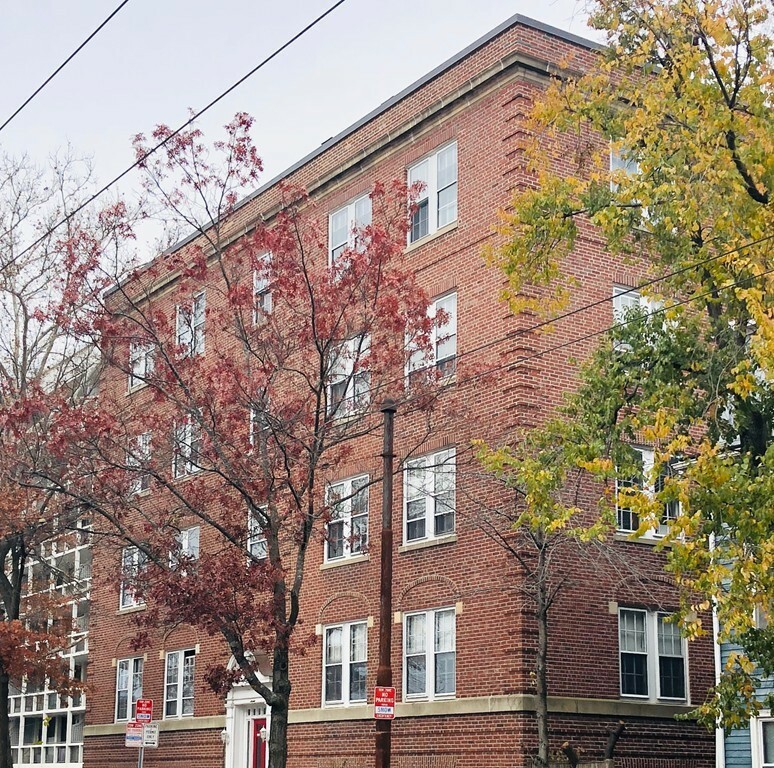 Newton North High School is nearby and the property is also convenient to Mass Pike as well as shops and restaurants in both Newtonville and West Newton. 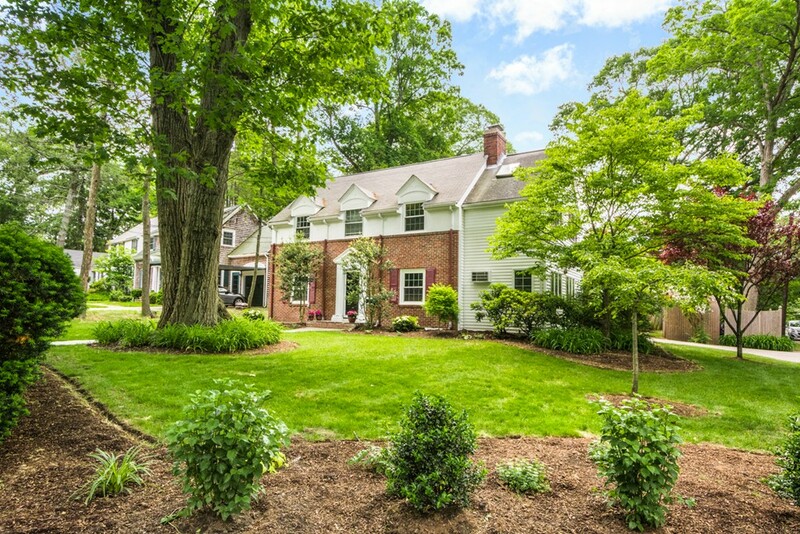 The best open houses offer more than you are expecting - and this is one you won't want to miss! This expanded cape in the Greenlodge School district offers 3+ bedrooms and 3 full baths, including a master bedroom and bath on the main level. The welcoming entry foyer leads to the front to back living room with fireplace and bay window, dining room with another bay window, white cabinet kitchen with stainless appliances, and 4 season sunroom/playroom. The second level offers two oversized bedrooms, great storage and closets and a full bath. But it doesn't end here! The lower level features a fireplaced family room, office/guest room, another full bath, and laundry room, plus storage. Hardwood floors up and down. Gas heat. The detached three story/two car garage is an unexpected bonus. The home is in a super location, just a short walk to the commuter rail and close to highways, Legacy Place and University Station. Open House Saturday 12-2. Don't miss out! 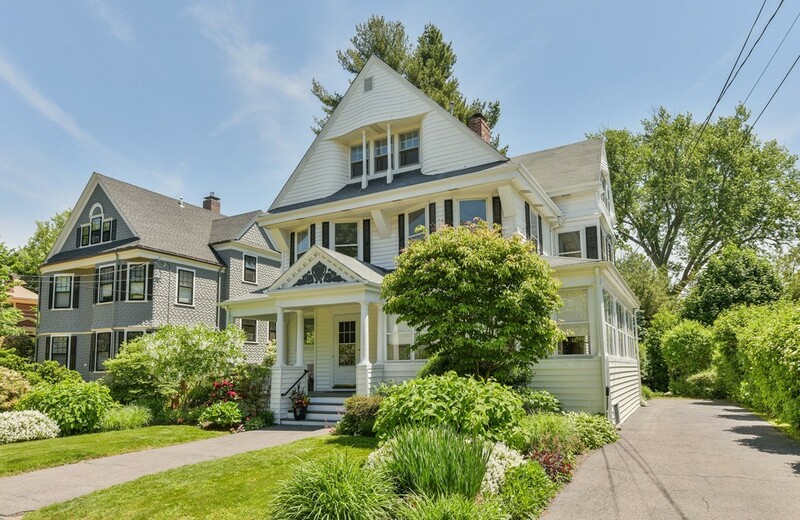 Pride of ownership is evident in this 7 Room, 3 bedroom Cape in a quiet neighborhood with a fenced in yard, abutting Charles River Reservation, near Leo J Martin Golf Course and Lower Falls Playground. First floor consists of front to back living room with fire place, formal dining room, half bath, updated kitchen that leads to an enclosed porch. Easy access to the Riverside T, 128/95, Mass Pike and Routes 9,16 and 30. An inground pool lends itself to entertaining family and friends. This home is waiting for a new owner!. 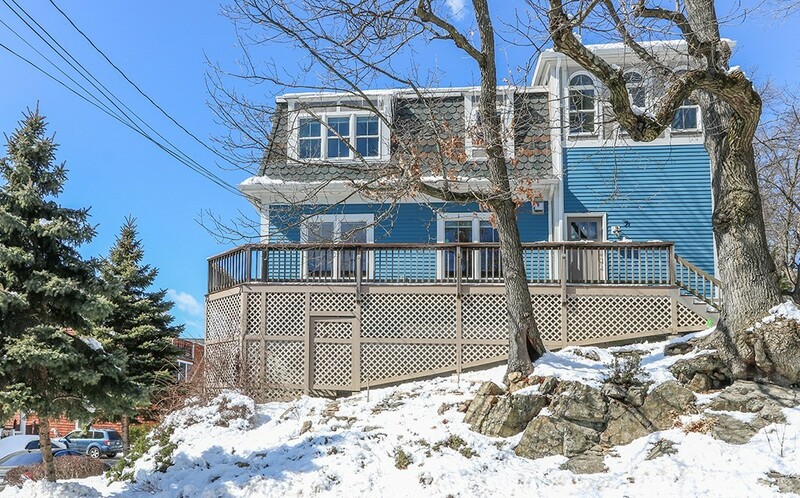 Do not miss one of the most beautiful properties on West Newton Hill! 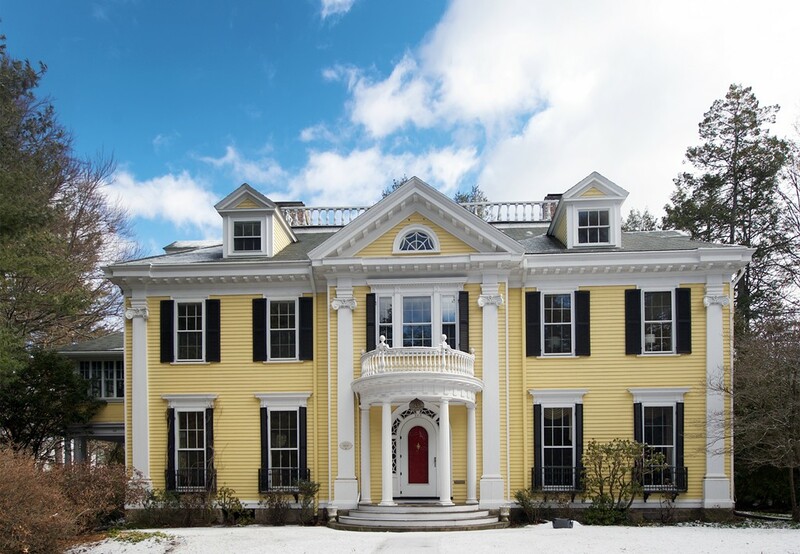 Modeled after the Longfellow House in Cambridge, this stunning Georgian Revival is a feast for the eyes. There is no word but spectacular to describe the architectural details of the interior and exterior of the house with its columns, pilasters, arched entryways, Palladian and fan windows, and fireplaces. From the decorative windows surrounding the doors in the Vestibule to the gorgeous Bridal Staircase and coffered ceiling embellished with carved motifs in the Foyer, you instantly understand the masterpiece you are entering. Of special note is the Inglenook off the Foyer, the 3rd floor 2-Bedroom Suite, the Widows Walk, and the Porte Cochere. To quote the Mass Historical Commission, This building is by far the most ornate example of early 20th century architecture in the area. Yet, it is welcoming and comfortable, the perfect place to create many wonderful memories with family and friends. Large corner 1 bedroom unit at the highly desirable Watermill Place, offering all the conveniences of condo living in a serene location in Arlington Heights The HVAC was replaced within the last 3 years and the Association replaced the roof and all the electrical system in the entire complex 5 years ago.The complex abutts the Minute Man Bike Path and the babbling Mill Brook. 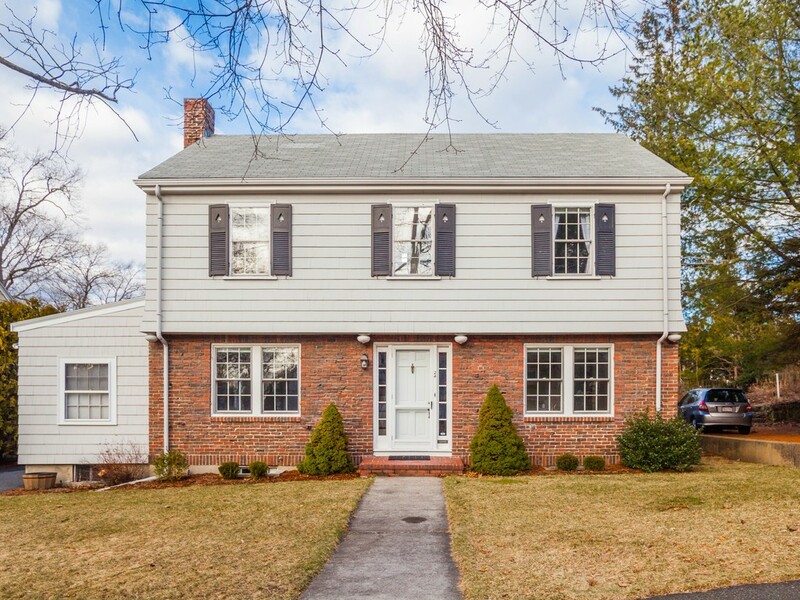 Minutes to bus line to Alewife Station, restaurants and Arlington Reservoir. Desirable West Newton! 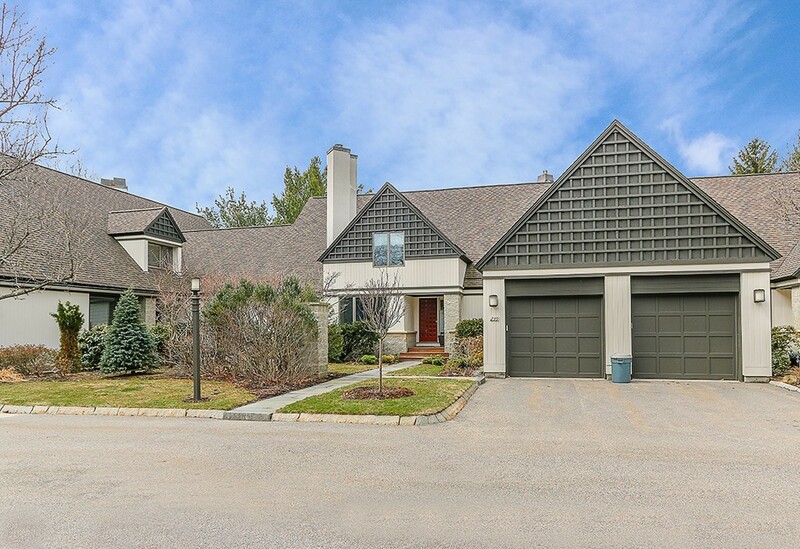 Meticulously maintained 9 room, 4 bedroom, 3 bath multi-level home offering; Modern kitchen with granite counters, new SS appliances plus inlay hardwood flooring. Modern open concept layout with dining room that flows into the living room which has a fire place and bay window. Great size Den is off the kitchen with plenty of newer windows bringing in plenty of natural light. Master bedroom has private bath and walk-in closet. Fourth bedroom has great potential for an in-law suite or home office with direct access to out doors. Lower level has a wonderful spacious family room with a wood burning fireplace and laminate flooring. Central AC, 2 year old roof, alarm system, 2 car heated garage, fenced in yard with patio and shed too much to list a must see. Beautiful, spacious and dazzling 1 bedroom with open feel and super convenient gated garage parking under the building. All remodeled large, open kitchen with all new Shaker style maple cabinetry, granite counter top and SS appliances for dishwasher, stove, microwave, fridge. Gleaming hardwood floors in living and bedroom areas. Plenty of closets, including double closets in bedroom. Walk to downtown and vibrant Moody St with all its restaurants and shopping plus great transportation with access to trains and buses. Convenient coin-op laundry in garage. See it, love it! 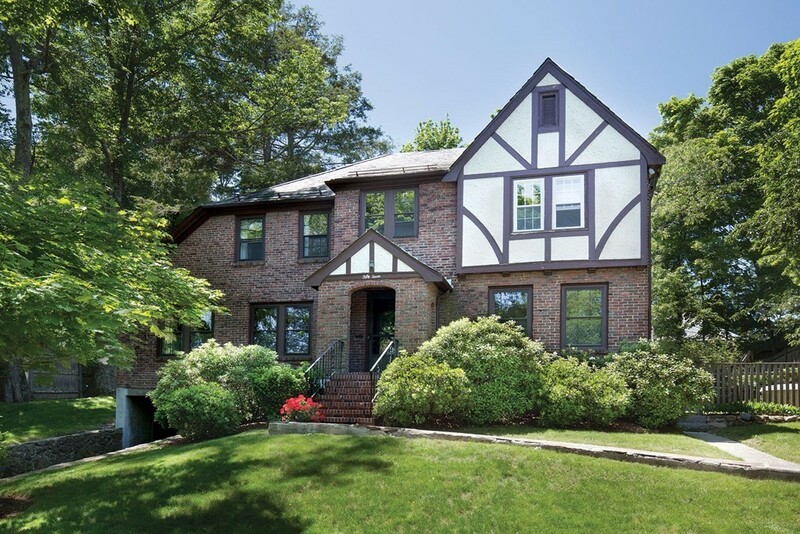 Meticulously maintained 10 room 4 bedroom brick and shingle Colonial home on West Newton Hill. 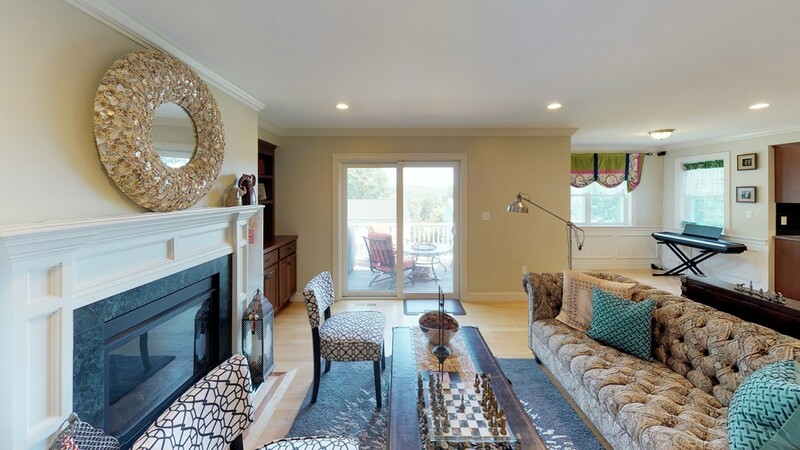 First floor includes a fireplaced living room that flows into a peaceful sunroom, formal dining room, sun filled kitchen with granite counters and stainless steel appliances that leads to a large deck. Second floor has an office and 3 well proportioned bedrooms including a master with nice master bath. Third floor has a spacious 4th bedroom with sky lights. Handsomely finished lower level with family room, wine closet, and walk-out to back yard. Freshly painted interior with designer colors & gleaming hardwood floors make this home a treat to show. Newer systems, windows and central A/C. This is a fantastic home and a must see! 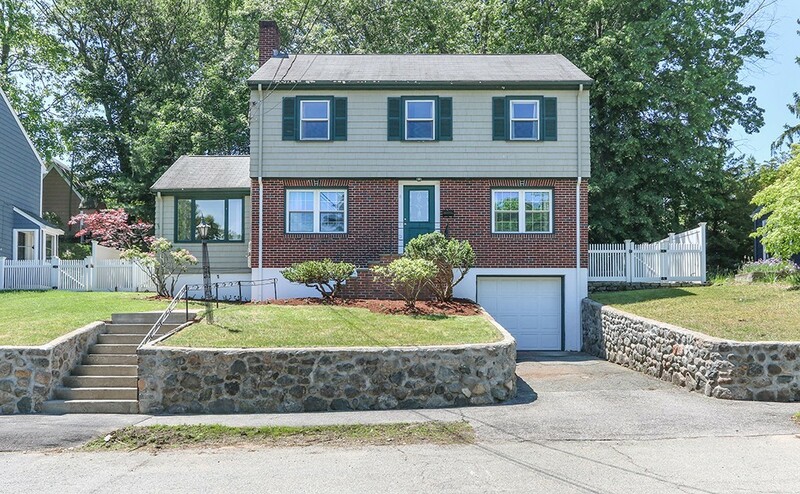 Meticulously renovated split level home on a cul de sac in a desirable North Framingham. This turn key house has everything you have been searching for. 3 spacious bedrooms, 1 full new bathroom on the first floor.. Big deck off brand new kitchen with granite ct & new ss appliances & backsplash. New siding, new Pella windows, hardwood floors on the first floor, new carpet in the finished basement, freshly painted, new heating system, new hot water tank, new A/C. new electric panel. Spacious walk out finished basement features a big family room , 4th bedroom, full bath and extra storage area. New drive way & landscapping. 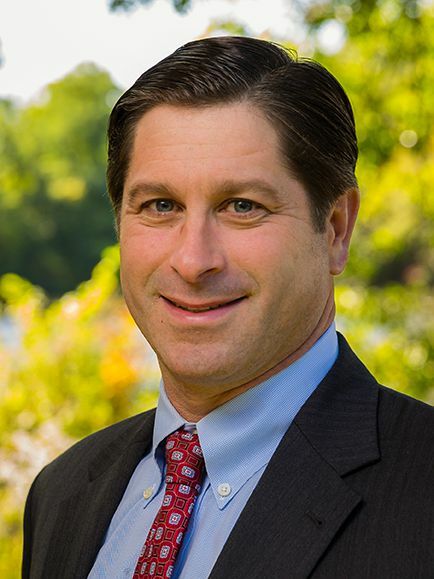 Minutes to all major highways, Natick mall, new Wegmans & Shoppers world. 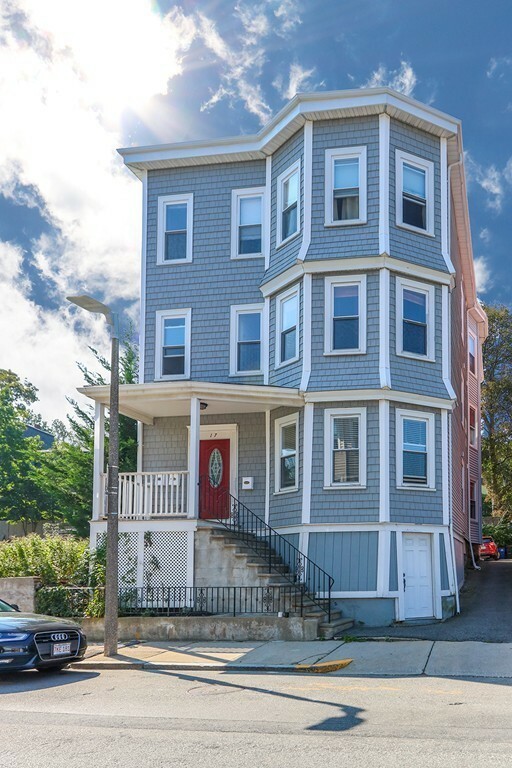 Spacious and sunny 2-level townhouse condo with 3 bedrooms, 1.5 baths in the heart of Waltham. New renovation completed in 2018 includes open floor plan granite kitchen/dining featuring hardwood cabinets with soft-close drawers, stainless appliances, vinyl plank flooring, stacked w/d hookup with gas and electric connections. Also brand new are 1st floor half bath, electric service, gas hot water heater, solid oak flooring throughout. Generous closet space. Private fenced back yard ready for cookouts and fun. Exclusive use storage in basement. Exclusive off-street parking for 2+ cars. Steps to Moody Street shops and restaurants. 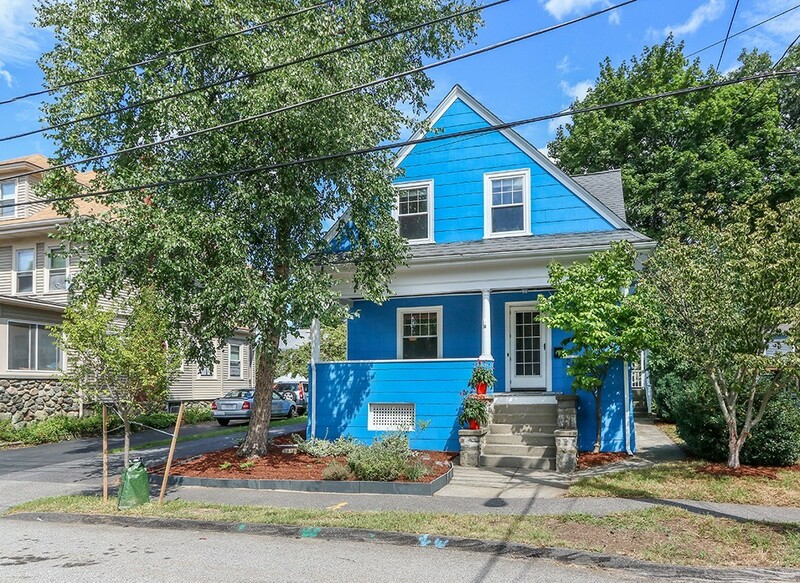 Short distance to Commuter Rail, Charles River bike and walking paths. Open houses: Saturday 5/12 11:00pm-1:00pm, Sunday 5/13 11:30am-1:30pm. Offers, if any, accepted up to 9am on Wednesday 5/16. Gorgeous, versatile 5 bedroom 4.5 bath townhome with new elevator, first and second floor master bedrooms, located in Newtons desirable Ledgebrook Community. The first level features a gourmet chef's center island eat in kitchen, with Wolf stainless steel appliances, custom cabinets, granite counter tops and a separate sun filled breakfast area. The kitchen flows into a formal dining room and then into an amazing 2-story living room with sliders that leads to a large back deck. In addition, the first floor contains a den/office with fireplace as well as a beautiful master suite with with fireplace and en-suite bath. The second floor has an open loft landing space and two large bedrooms with en-suite baths. One of the bedrooms has beautiful custom built book shelves. The huge fully finished lower level has its own kitchen, large living room, 2 bedrooms and a full bath, perfect in-law or nanny suite. Newer systems, 2 car attached garage, pool and tennis courts. 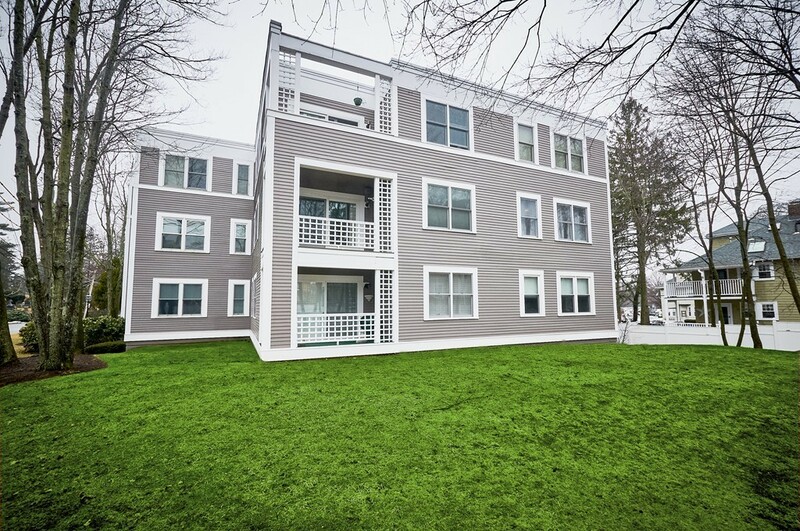 Top floor 1 bedroom corner unit with private roof deck at the highly desirable Watermill Place, offering all the conveniences of condo living in a serene location in Arlington Heights. The HVAC was replaced within the last 7 years and the Association replaced the roof and all the electrical system in the entire complex 3 years ago.The complex abutts the Minute Man Bike Path and the babbling Mill Brook. 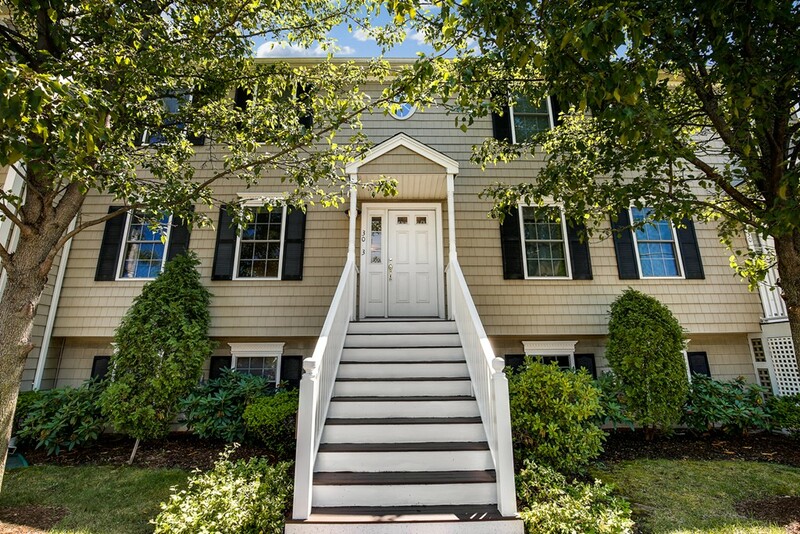 Minutes to bus line to Alewife Station, restaurants and Arlington Reservoir. 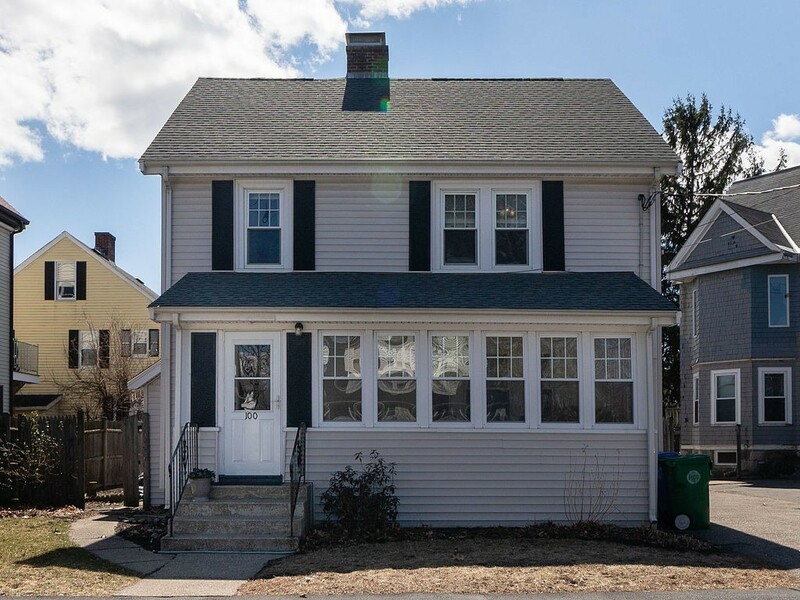 Totally renovated, absolutely immaculate 9 room, 4 bedroom, 2 full bath Center Entrance Colonial in great Victory Field location near Bentley University! Nothing to do but move in to this lovely, spacious home. Originally a Cape, the second floor was added in 1997 and the family room expansion was completed in 1999.1st floor features living room, dining room, great 1st fl office with 3 closets, large new full bath, extra-large kitchen with peninsula, skylights and eating area, family room addition with skylights and fireplace, handy mudroom and access to nice composite deck. 2nd flr has 4 corner bedrooms, each w/ ceiling fan, a nice bath & brand new carpeting. Most recent updates:1st fl full bath renovation (2015), new ss appliances (2015), gas 50-gal hot water tank (2012), 3-zone gas heat (2008), 6 mini-split a/c units (3-5 yrs old), and new concrete front walk (2018). Lovely fenced yard, plenty of parking, and super convenient location steps to bus line. 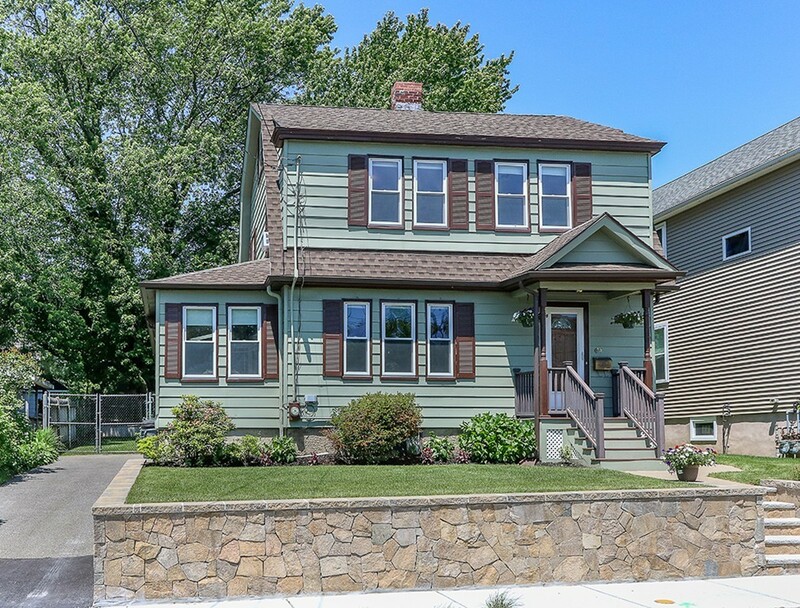 Conveniently located in the charming Upper Falls neighborhood, this wonderful sun-filled three level home offers three bedrooms and two full bathrooms. Features include; a living room with ornamental fireplace and beam ceiling, a dining room with built-ins, an updated kitchen with skylight, granite countertop and newer stainless steel appliances. Also offering upgraded replacement insulated windows, off street parking, a private patio, a wonderful large yard for a play space or entertaining and a shed for additional storage. Convenient to shops, restaurants, D-line T stop, I-90 and I-95. Stylish and Chic describes this updated contemporary ranch home with all the modern amenities one only dreams of! Travel up the bluestone/stone stairs highlighted by lush landscaping. Notice the custom built in bookcase as you enter the home. 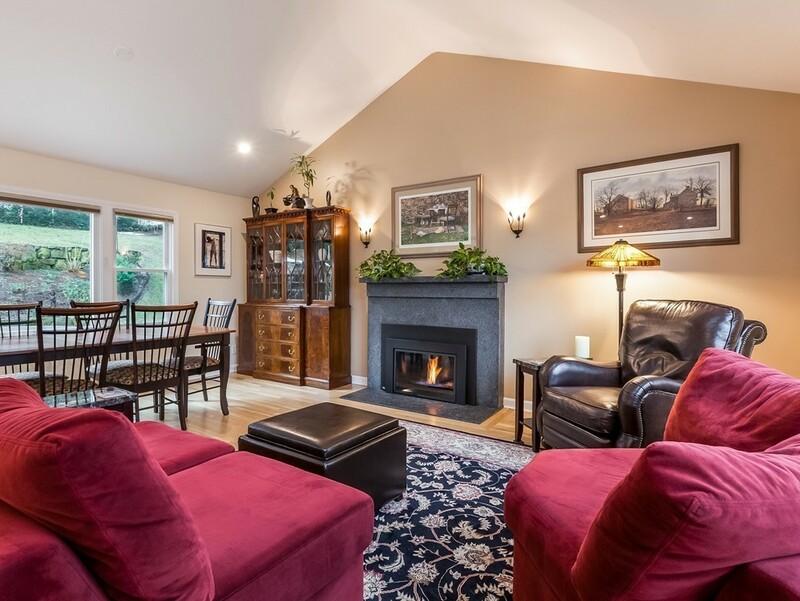 Enjoy a quiet evening by the gas fireplace in the vaulted family room w/ skylight. Entertain in the dining room w/ oversized windows offering a view of the tranquil backyard. Cook a fabulous meal in the updated kitchen with stainless appliances, granite countertops, and beautiful stone tile floor. Two spacious bedrooms with Hardwood floors and a modern bathroom complete the first floor. Relax on the splendid travertine stone patio approximately 375 SF while toasting marshmallows on the stone and brick fire pit as you savor the scenery of the professionally landscaped plantings. 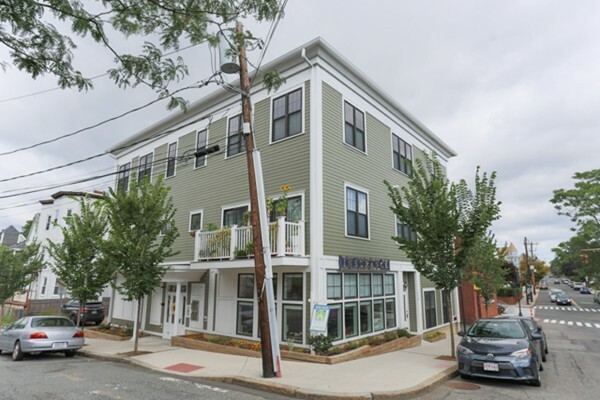 A short walk to shops, commuter rail, & Newtonville. Close to all major routes. Be in this amazing home by summer! Public OH 4/5, 4/7 and 4/8. 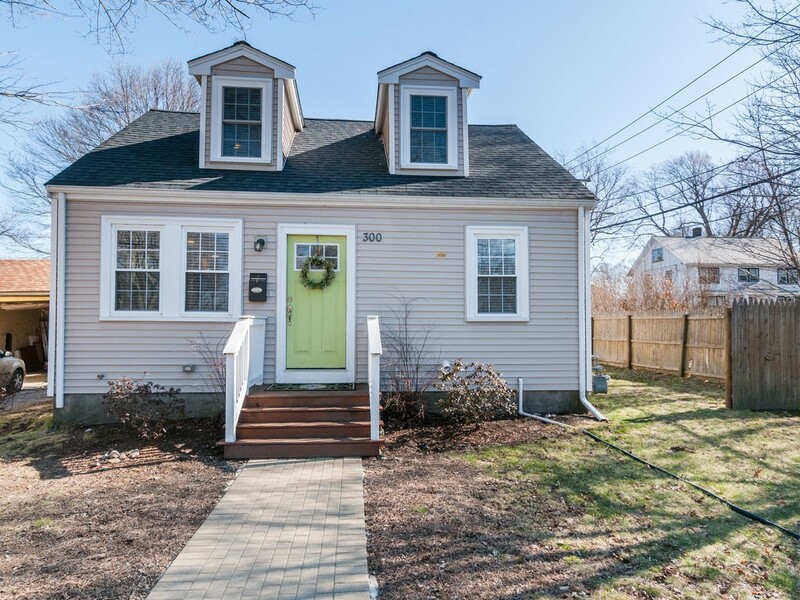 Gorgeous renovated 4 bedroom, 2 bath cape. This home welcomes you with beautiful hardwood floors, large kitchen with dovetail/soft close cabinetry, new stainless energy star appliances and granite countertops. Master bedroom on first floor features hardwood flooring and a master bath with a luxury rain shower water head. Second bedroom has dramatic vaulted beamed ceiling perfect for a nursery, office or playroom. 2 additional bedrooms on second floor have dormers and full bath with rain shower water head. Large backyard enclosed with new beautiful fence. Newer 200 amp electrical, central air conditioning, plumbing, tankless on demand gas boiler, doors, roof, vinyl siding. Excellent location seconds from Paul Park in the desirable Greenlodge school district. 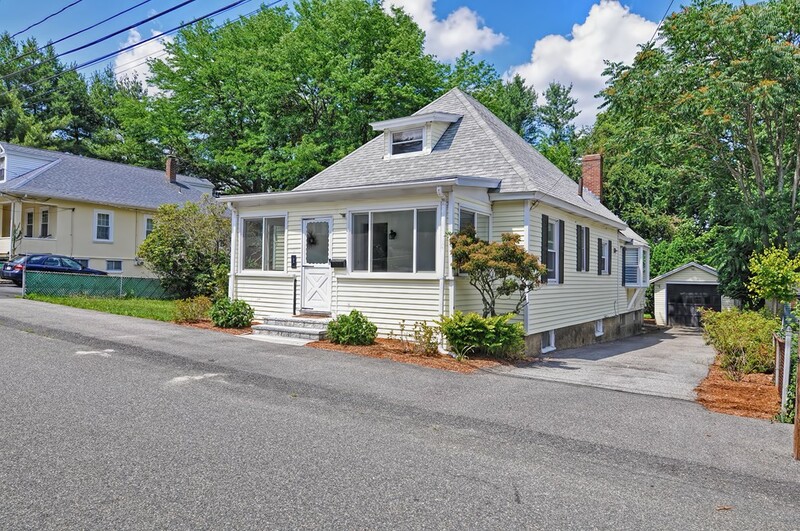 Walking distance to the Endicott commuter station. 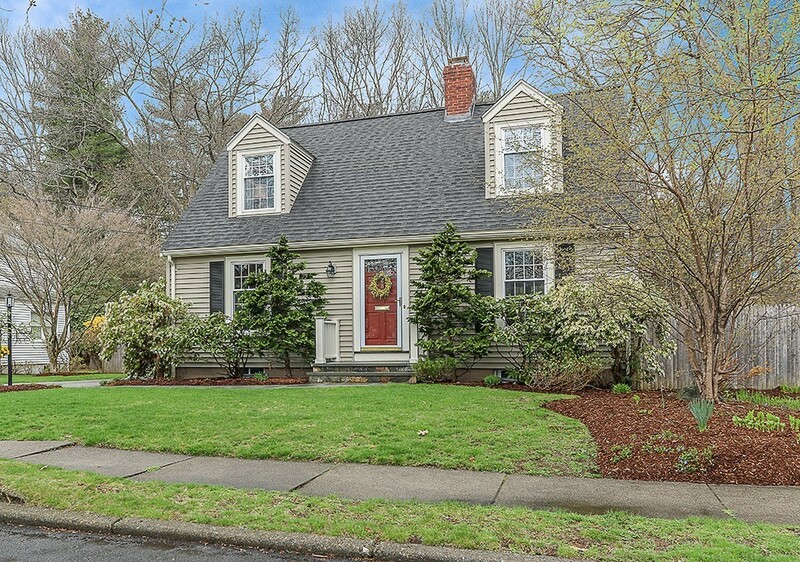 Just minutes drive to Legacy Place, Historic Dedham Center & Route 95. First showings at open houses Sat & Sun 11-12:30. Offers due Tuesday at 2. Fantastic 6 room 2 bedroom 1 bath second floor condo located in desirable West Newton neighborhood. This home boasts a beautiful fireplaced living room with gorgeous natural wood work, sunroom that could be used as a third bedroom, a formal dining room, eat in kitchen that leads to an enclosed sitting porch, two family sized bedrooms and a full bath. Recent updates include a new roof, new siding, insulation, brand new heating system, new hot water tank, all new wiring with switches and fixtures. Other amenities include garage parking, nice yard and basement storage. This is a must see! Open house Thursday 10:30-11:30, Saturday 12-1:30, Sunday, Sunday 11-12:30. 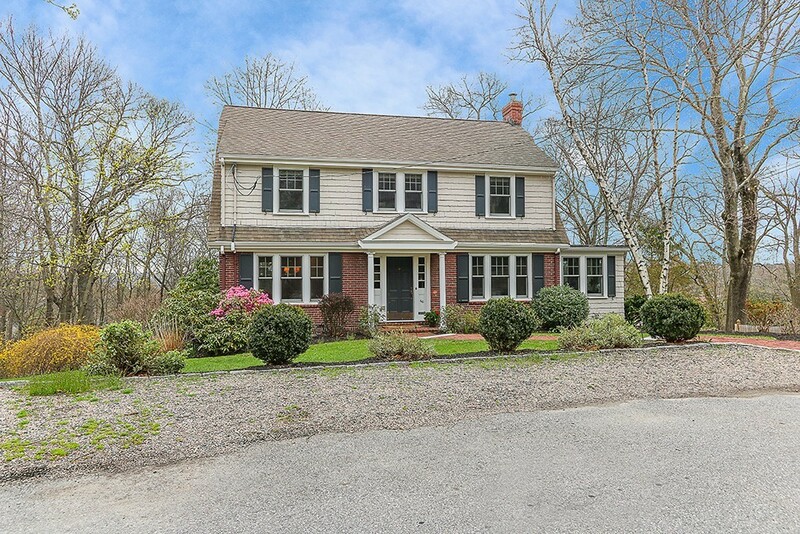 Pride of ownership is truly evident in this beautiful Colonial! The updated kitchen is complete with a stainless steel appliances, a Thermador induction cook-top, wall oven and warming drawer offering nothing but the best for all your cooking needs. The welcoming living room with hardwood floor and built in bookcases on either side of the wood burning fireplace opens to the lovely dining room where you can enjoy many meals with family and friends. Sun shines through the large picture window in the spacious family room where you can relax by the gas stove on chilly days and evenings. The heated sunroom off the kitchen completes the first floor by offering additional living space. Three spacious bedrooms with hardwood floors and a full bath complete the second floor. Relax or enjoy entertaining in the beautifully landscaped, fenced back yard with a flag stone patio. 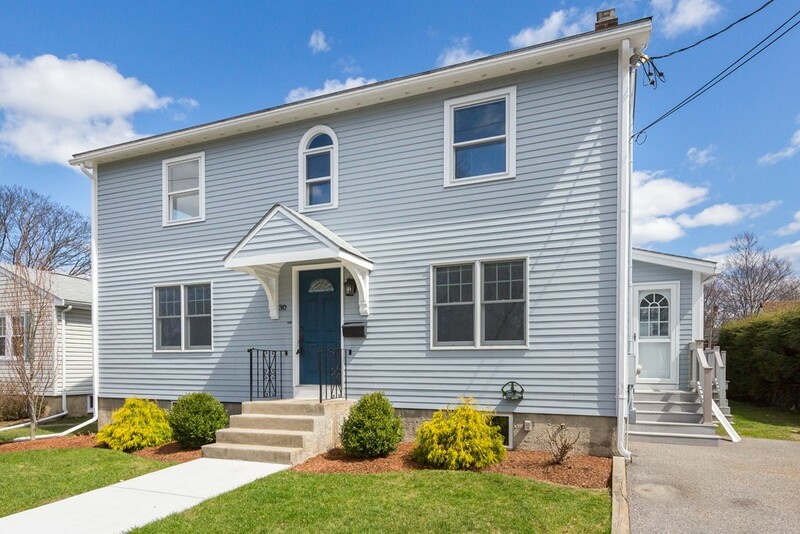 One car attached garage, central air, close to Rte 3 &18, restaurants, shopping and more! Nothing to do but move in! WOW! 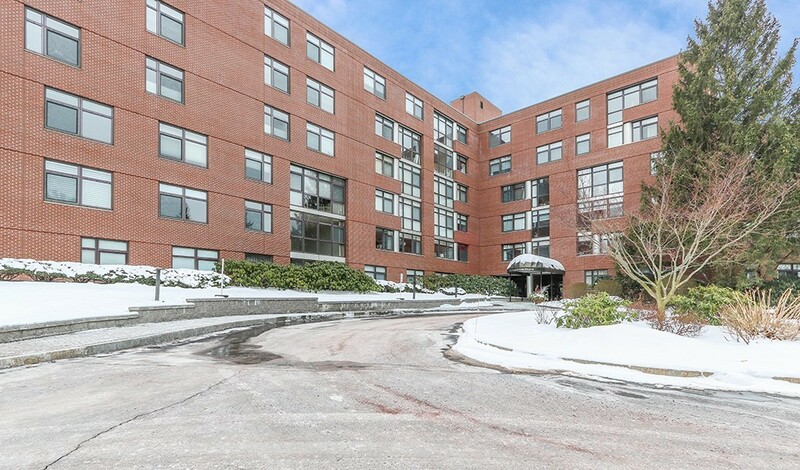 Fantastic, clean and well-maintained one bedroom condominium on Newton line. Open floor plan includes an updated kitchen with stainless steel appliances, a well-proportioned living room with sliders to a private balcony with scenic views. Good size bedroom with spacious closet. Outdoor pool and indoor sauna. One (rented) parking space and deeded basement storage. 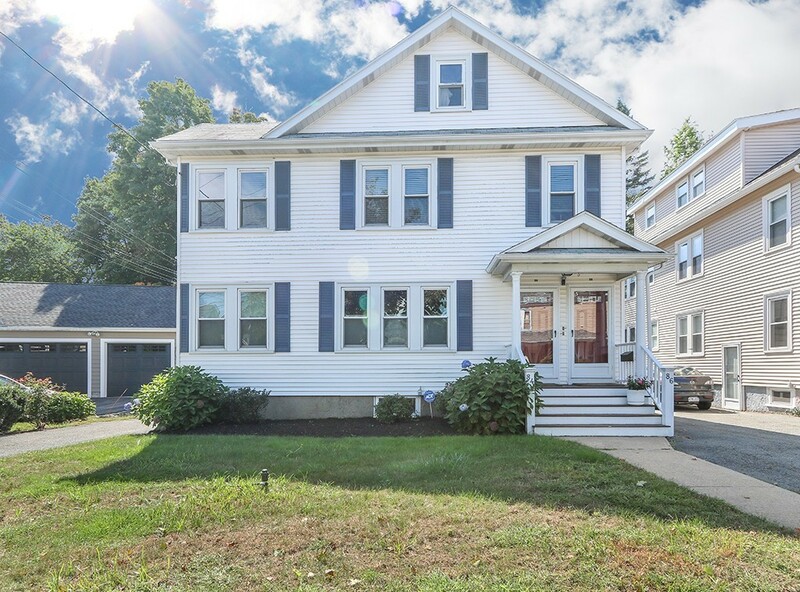 Quick access to public transport to downtown Boston and Cambridge make this an ideal commuter home or investment property. 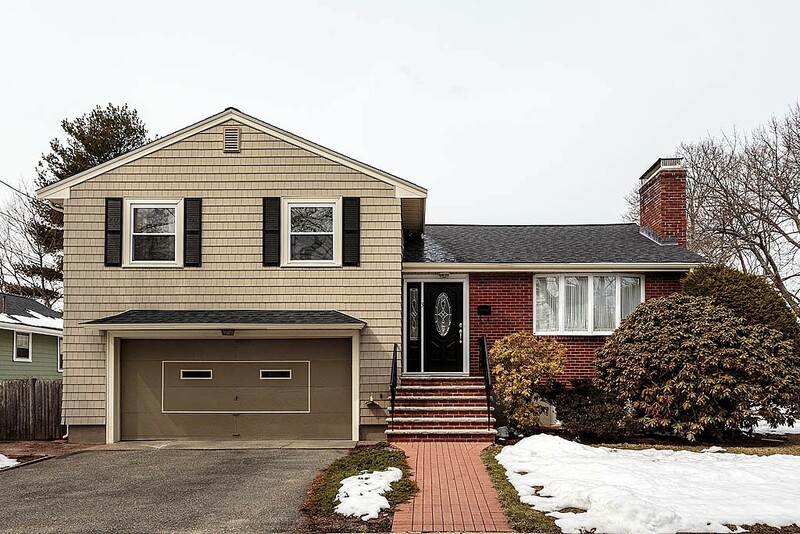 1st showings and open houses start Sunday April 29th and 12:00-1:30 p.m. Currently rented until October 31st at $1600 per month. Tenants may consider ending the lease early. 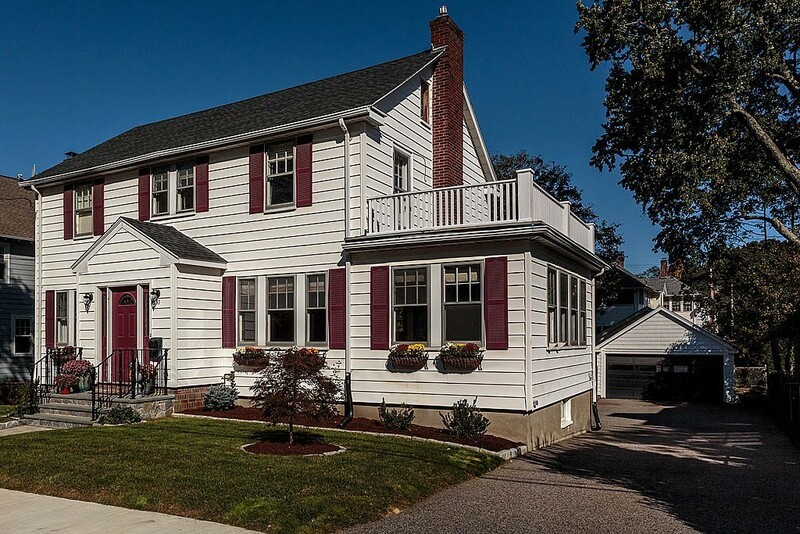 Fantastic 9 room, 4 bedroom, 2 bath Colonial with central A/C located in highly desirable neighborhood. First floor consists of beautiful living room with wood burning fireplace, cozy sunroom/den, sun filled formal dining room, updated eat in kitchen with stainless steel appliances and granite countertops. The second floor has 4 family size bedrooms with good closet space and a full bath. Finished lower level is perfect for kids play area or media room and has a full bath. Other amenities include a mudroom off kitchen which leads to a custom herring bone patio, driveway with spacious one car garage and a large backyard. Choice of Peirce/ Williams elementary school. Commuters dream with access to Rte 90,95, Green Line, Express bus and train to Boston. Public OH Saturday & Sunday 1:00-2:30. This is a MUST SEE! All offers due by Tuesday March 13 at 12:00pm. Spectacular, sunny, renovated 2nd floor condo has everything you are looking for with all of the benefits of city living. Two bedrooms and two full bathrooms including a master bathroom with a dual sink vanity and a large walk in closet. Beautiful island kitchen with granite counter tops and stainless steel appliances flows into a spacious living room and separate formal dining room. 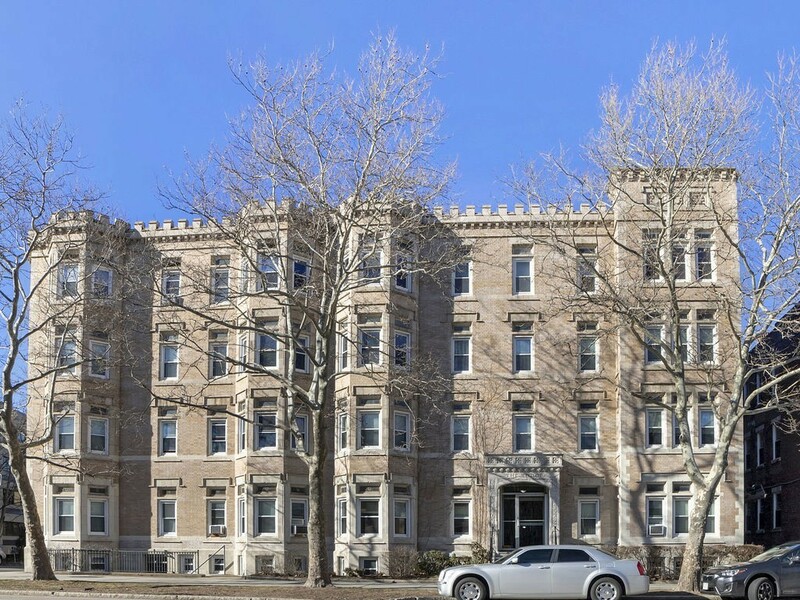 This convenient location is walking distance to many shops and restaurants, public transportation (.5 miles from Jackson Square AND Stony Brook), grocery stores (Whole Foods is only .2 miles away!) and directly next to a wonderful community garden. 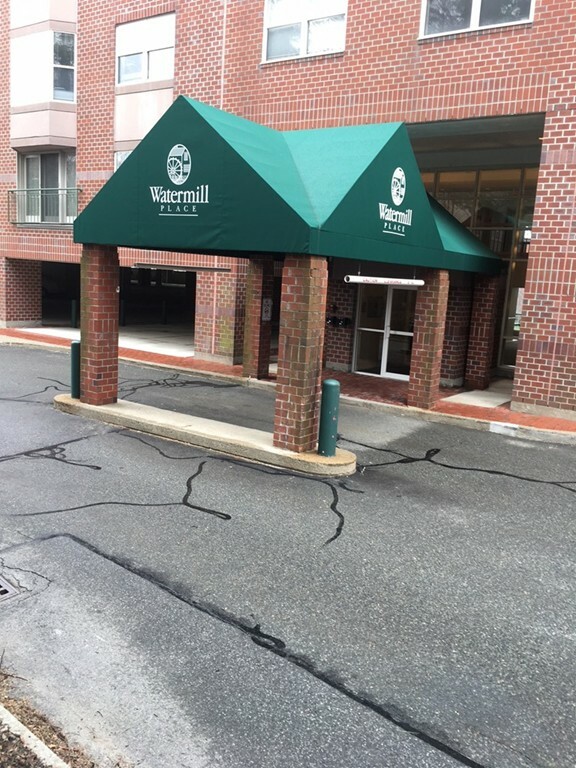 There is a deeded parking spot included with the unit and the sellers recently updated to a tankless on demand hot water heater. If you are in the market for a two bedroom condo, you should absolutely see this gem before it is gone! Oversized 1 bedroom w/PARKING in Oak Square. Private balcony. There is a large living room open to the kitchen with dishwasher/disposal. Works for owner-occupant or investor. Professionally managed association has on-site super, high owner-occupancy, & strong financials. Well maintained elevator building w/SWIMMING POOL & clean common areas. Located along the 57, 501, & 503 bus lines & convenient to Mass Pike. In need of cosmetic updates. Currently rented month to month for $1800 per month. Open house 3/4 10:30-12. Offers due Tuesday 3/6 at noon. Rare opportunity! Extraordinary Sunny PENTHOUSE with an amazing walk out south facing private Roof deck with Back Bay Views! Secure private elevator. Totally renovated and immaculate. Designer finishes in the kitchen that opens to the spacious dining room. Abundance of windows in every room offer city view, sunsets and an abundance of natural light complimented by custom blinds. Hardwood floors, stainless appliances and granite countertops. Intercom system. Central A/C and Heat. In unit laundry. Ideally located on the Commonwealth mall. Walking distance to public transportation and hassle-free commute from both I-90/93 and Storrow Drive Professionally managed building. Ideal for corporate clients, relocating executives or physicians. Roof deck is 555 sq ft. Available June 1st. Units like this dont come along often. 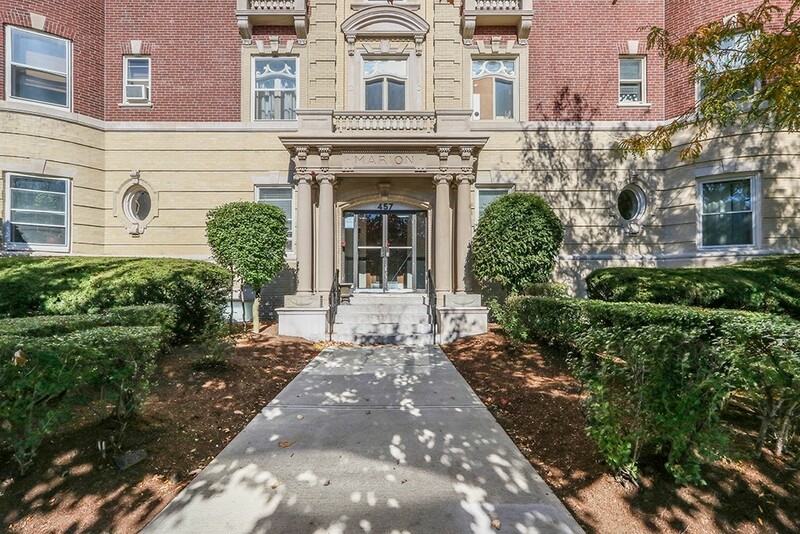 For those who want the Best of Back Bay's history, charm and elegance! 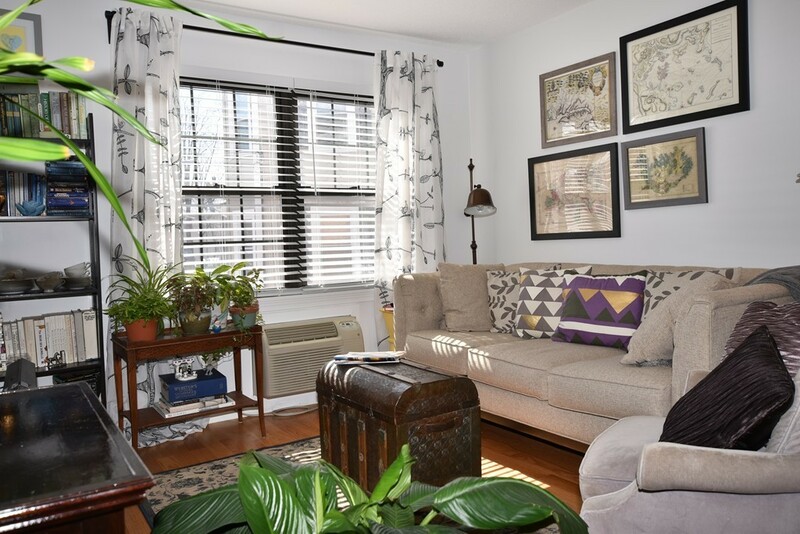 Beautiful sun-filled 2 bedroom in Grand Victorian. This fantastic unit boasts a modern kitchen with granite countertops and stainless steel appliances, spacious living room with ornate fireplace, high ceilings and oversized windows throughout. Other amenities include in-unit washer/dryer, gas cooking, large extra deeded storage in basement and 1 deeded Parking Space and possible rental space for 2nd car as well. 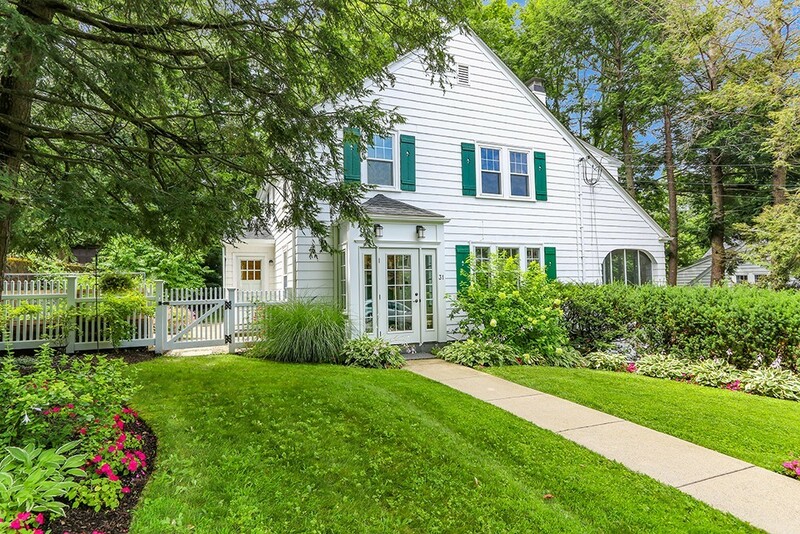 Walking distance to Auburndale village, restaurants, shops, green line train and commuter rail. Easy access to MA Pike, Rt.95/128 & Rt 30. A must see! Open houses Thursday 11-12. Saturday & Sunday 10:30 - 12.